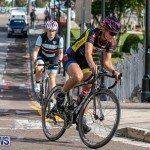 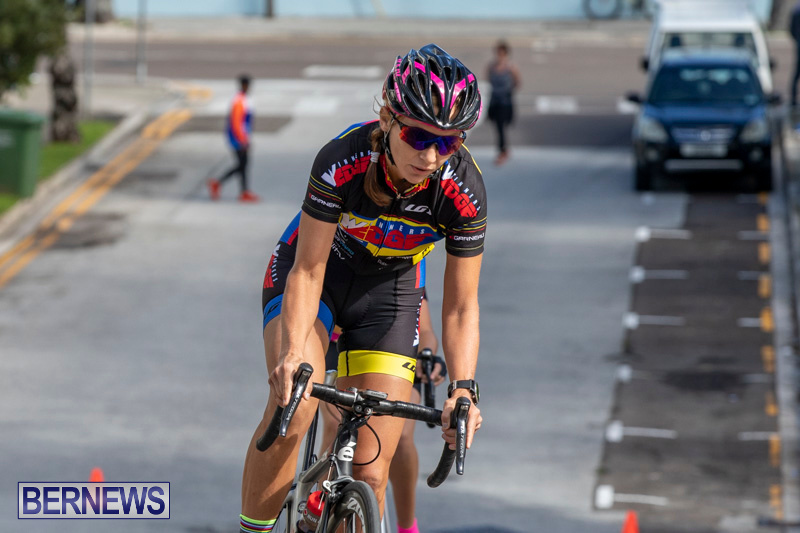 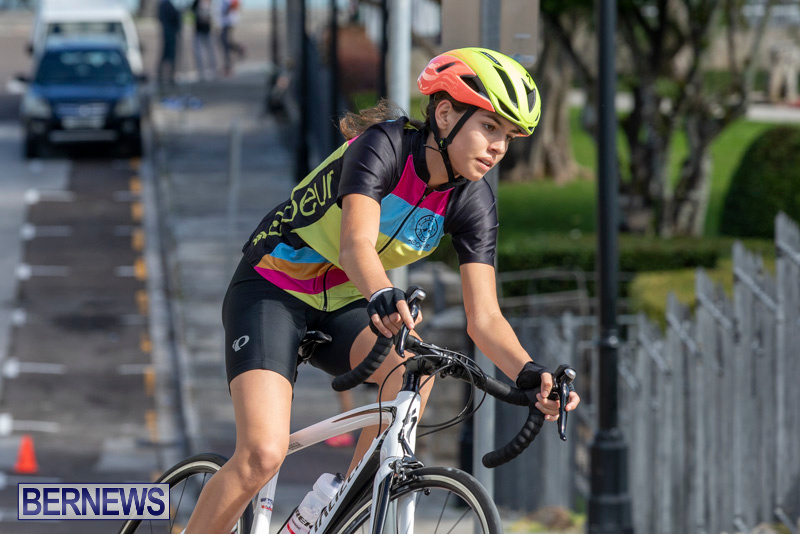 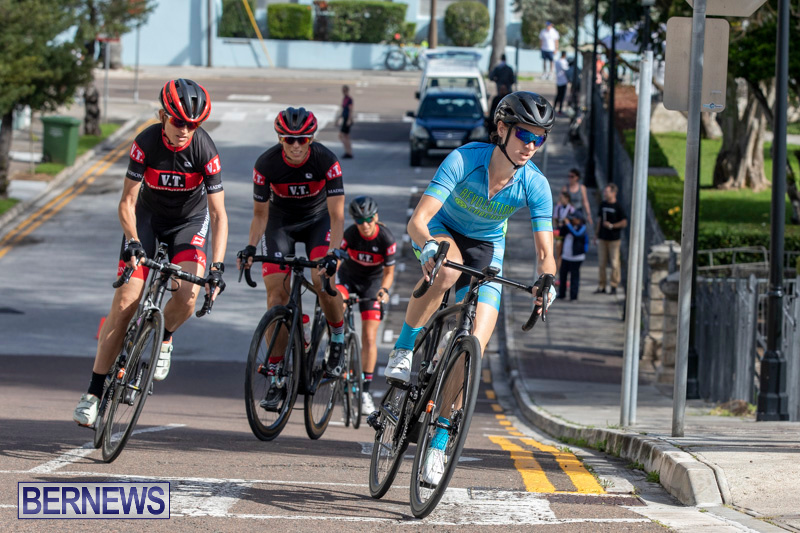 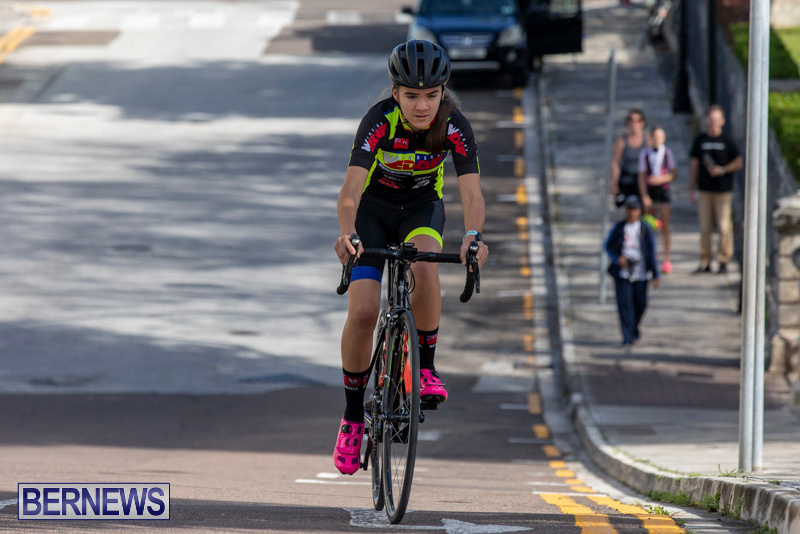 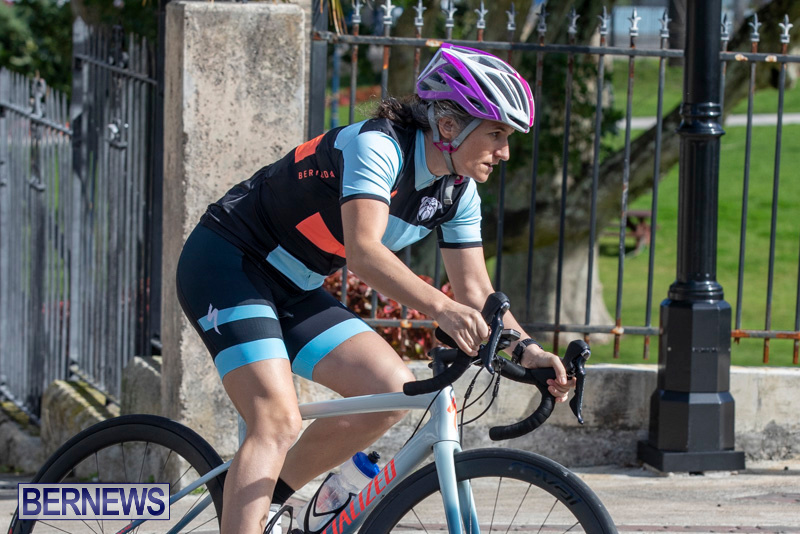 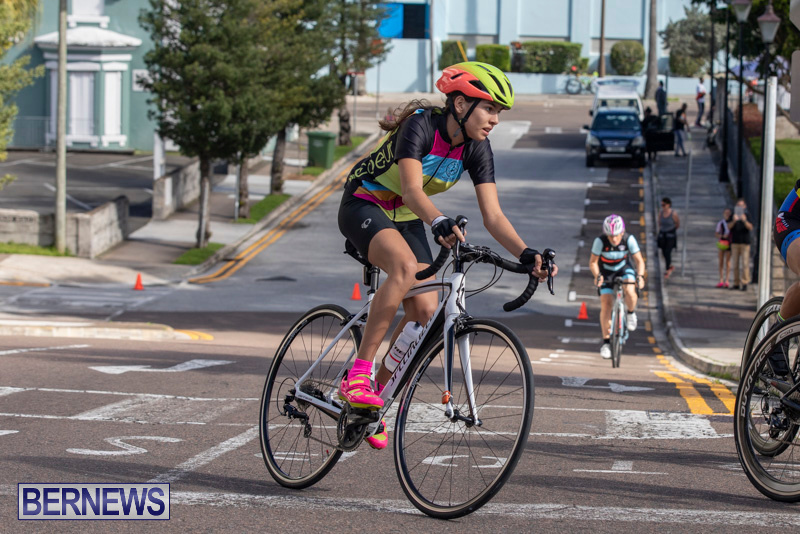 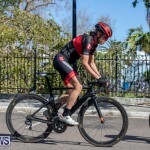 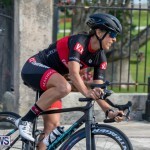 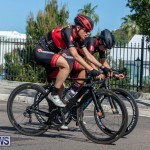 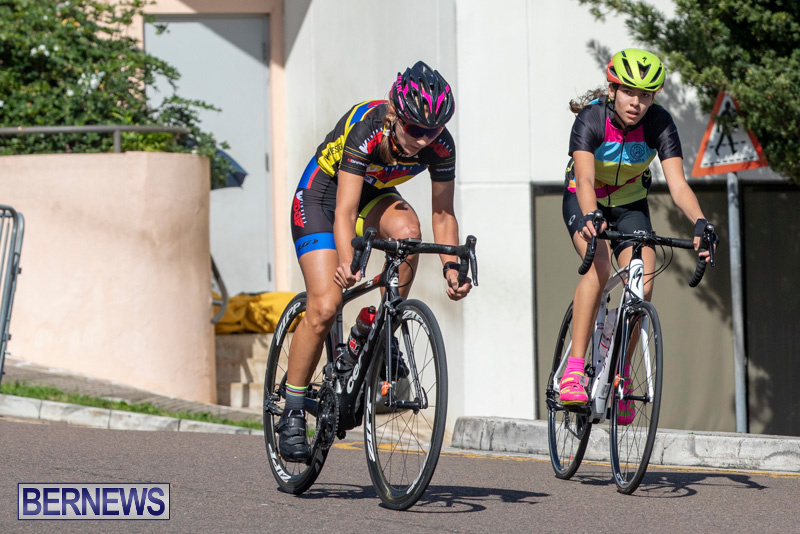 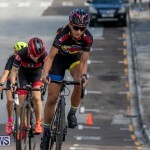 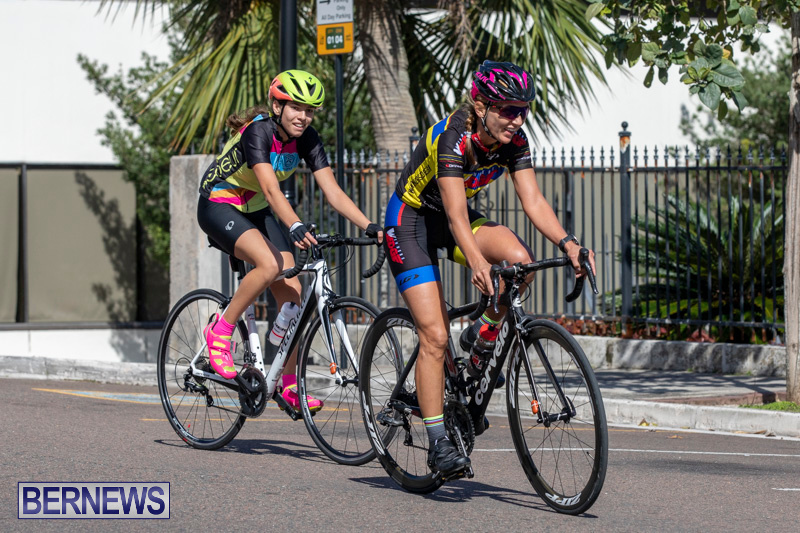 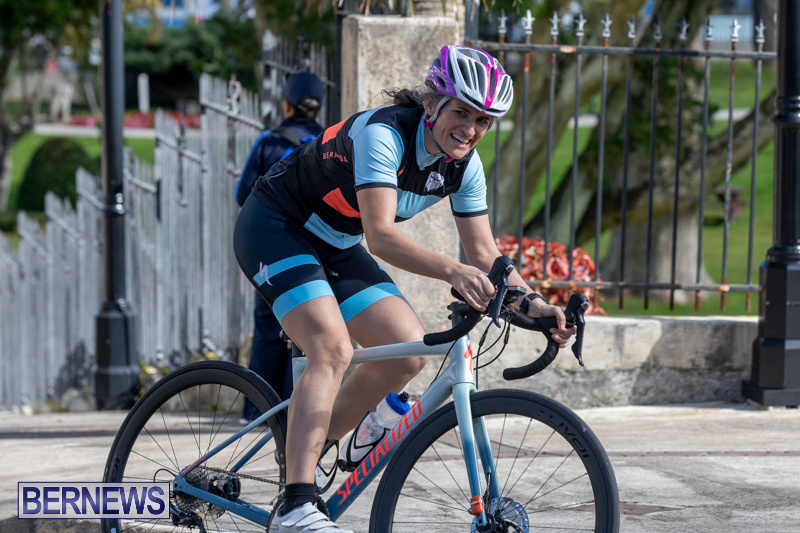 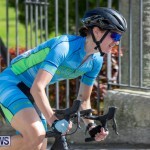 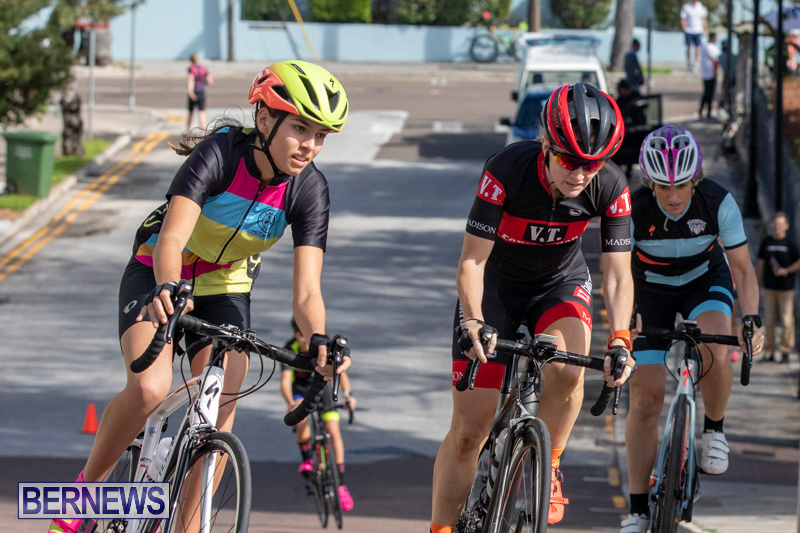 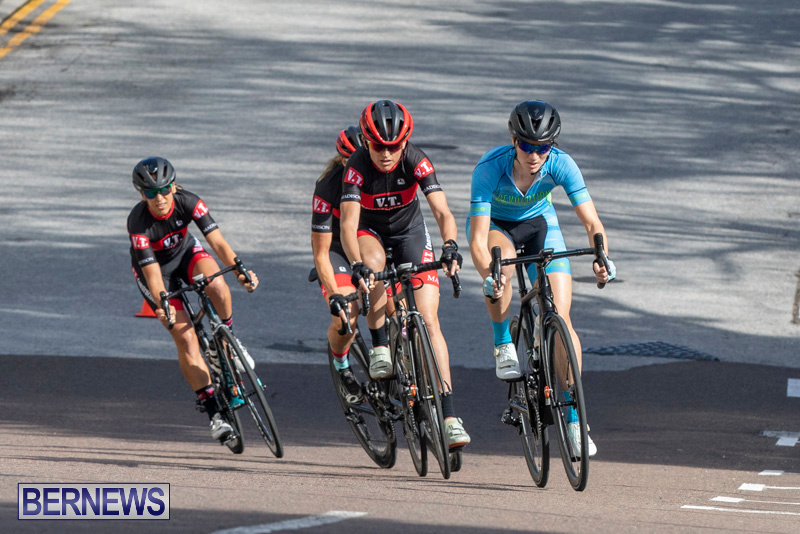 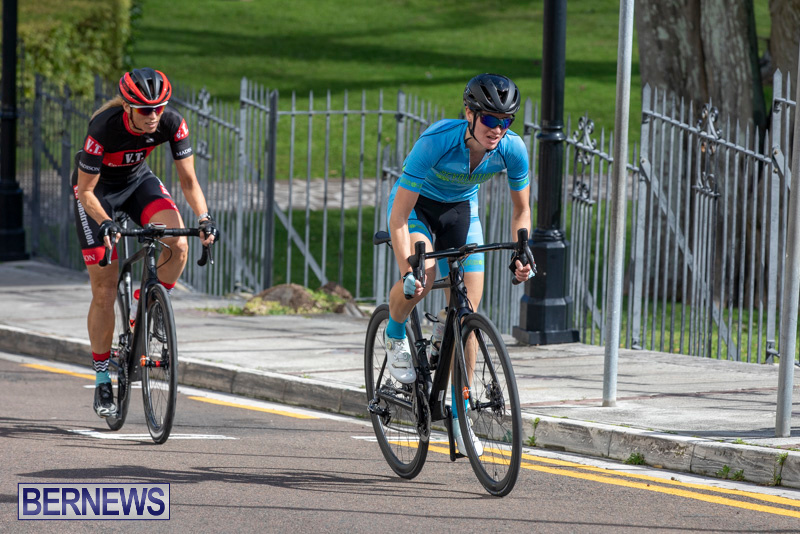 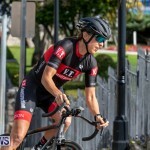 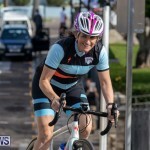 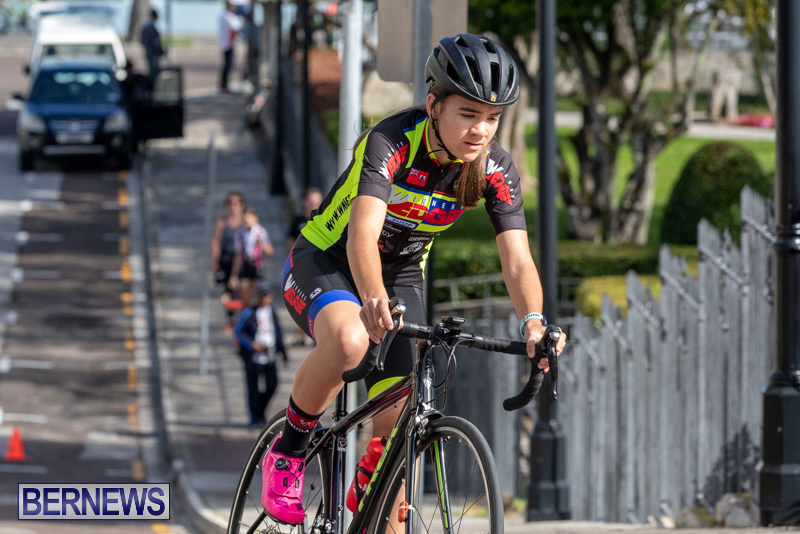 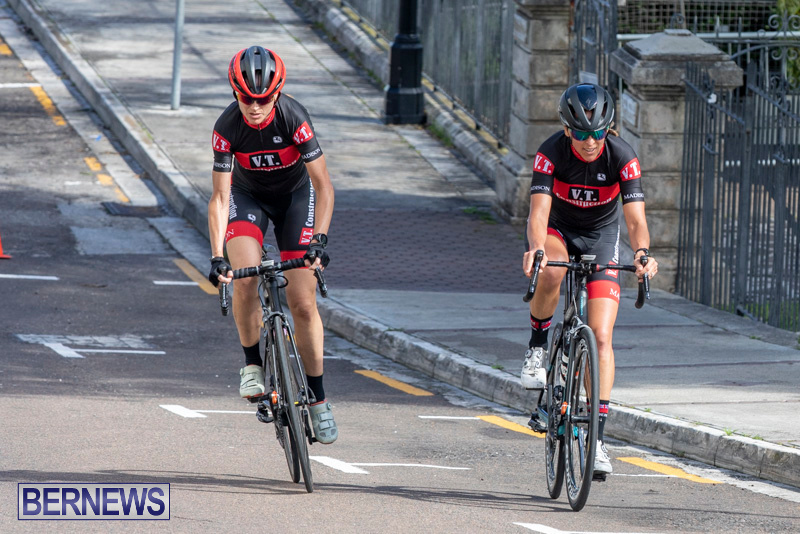 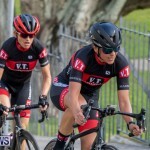 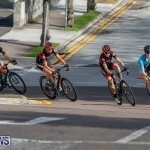 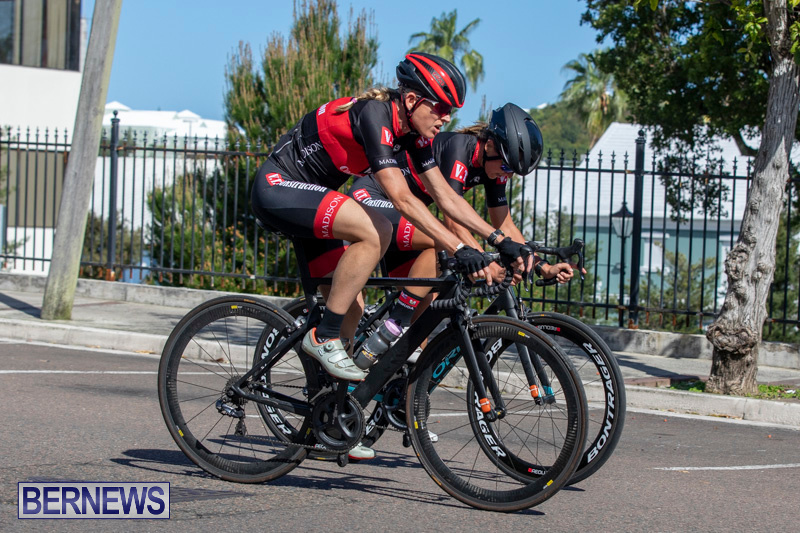 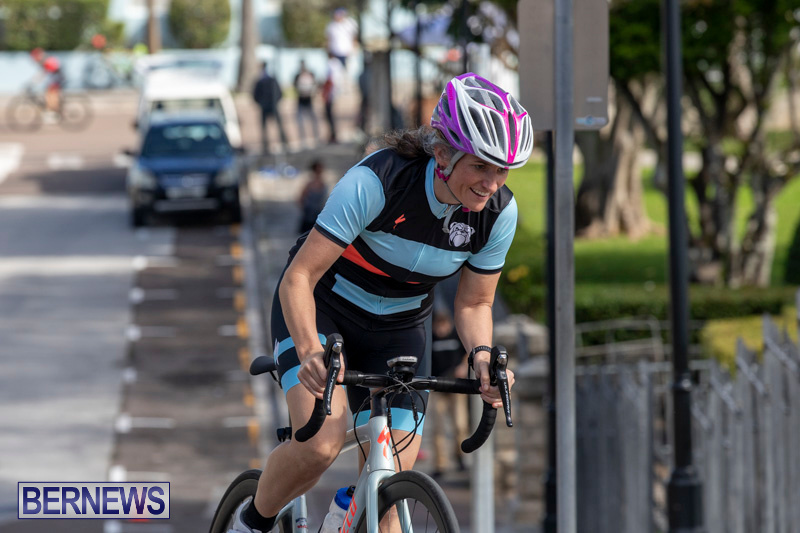 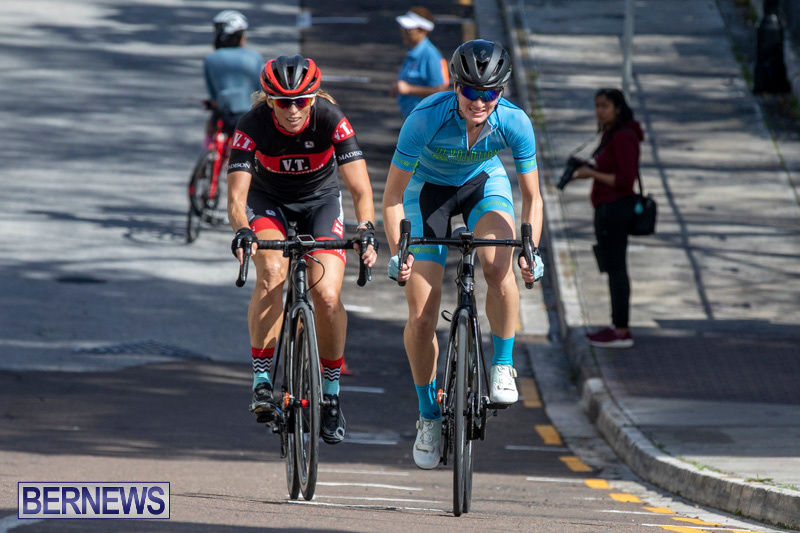 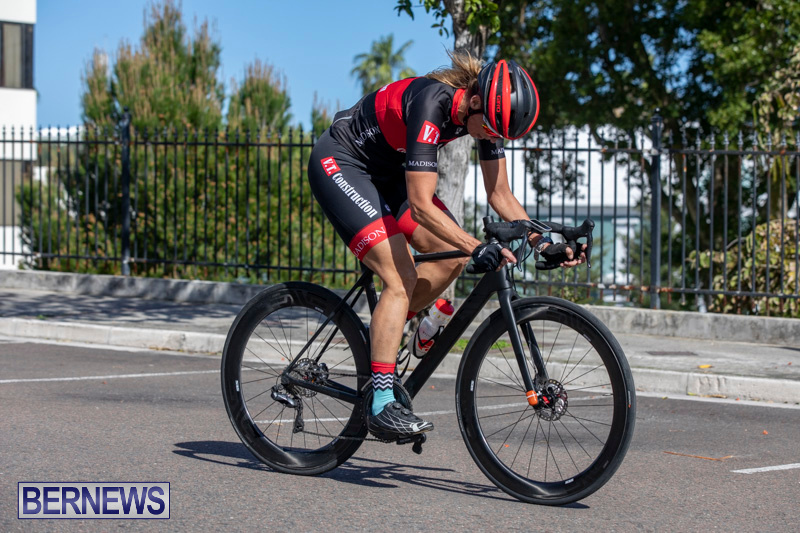 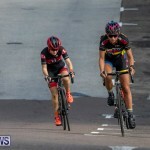 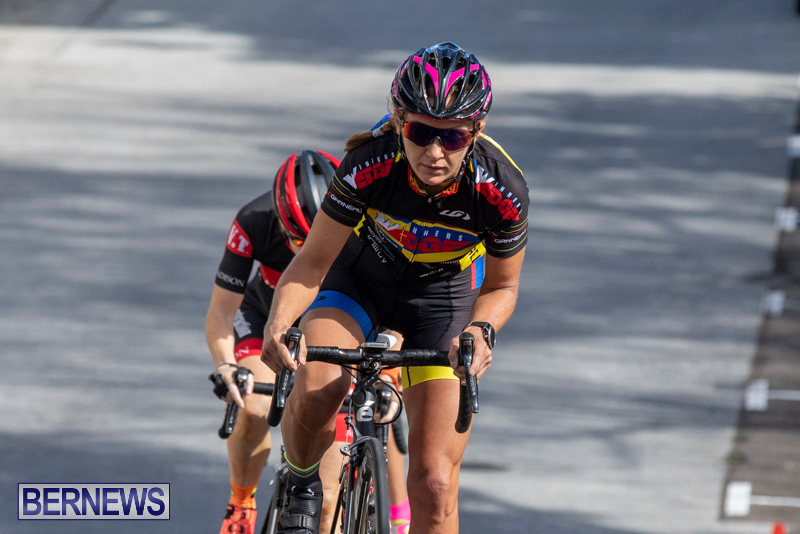 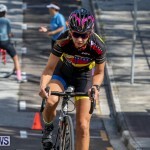 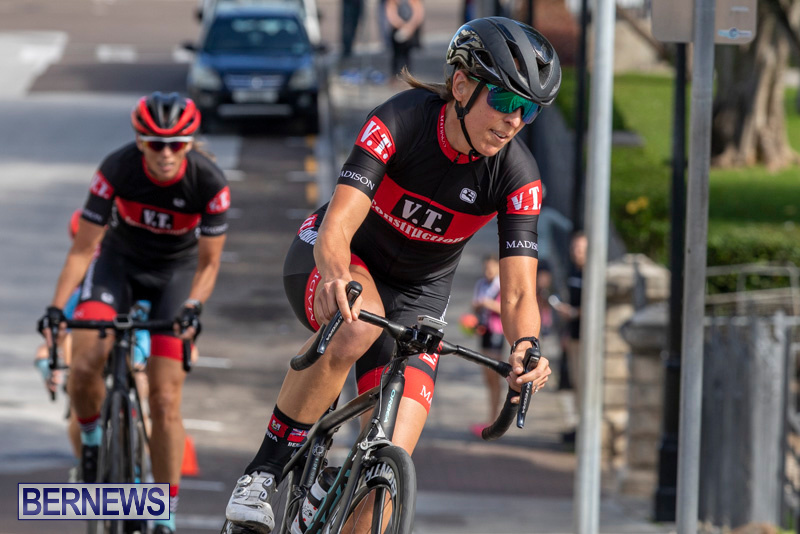 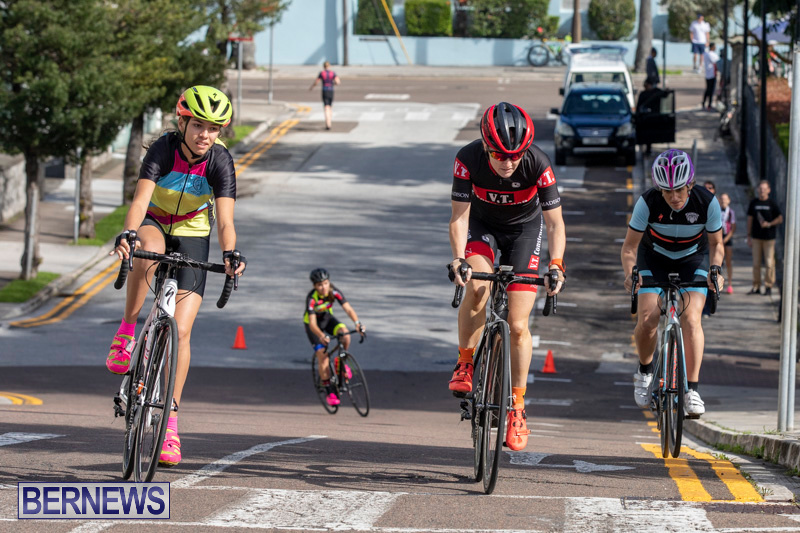 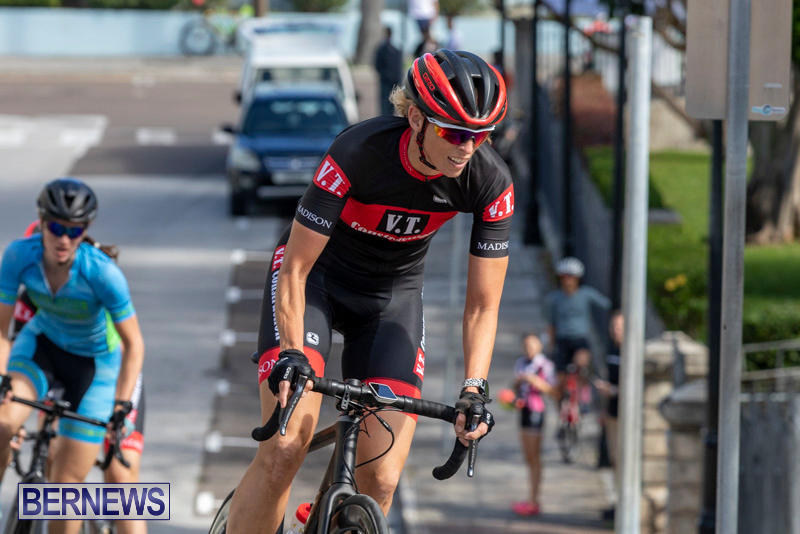 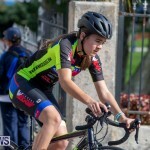 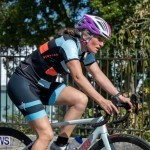 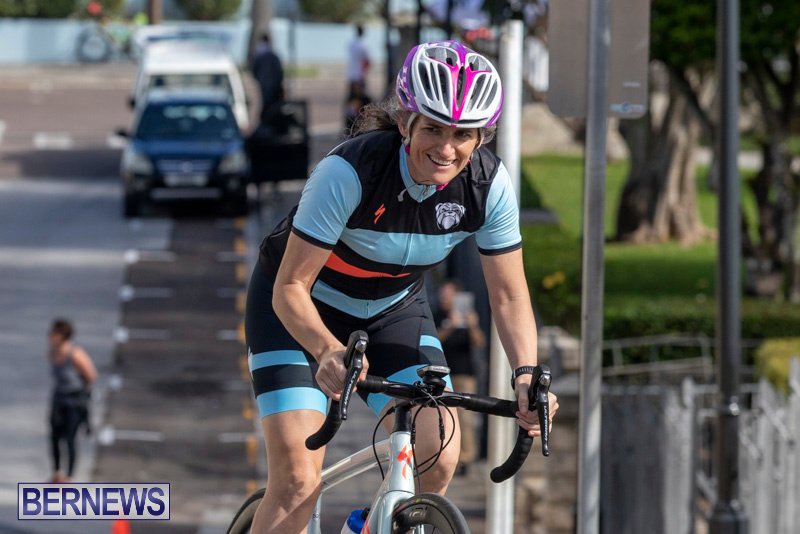 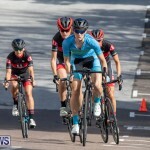 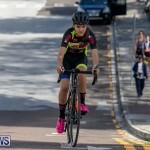 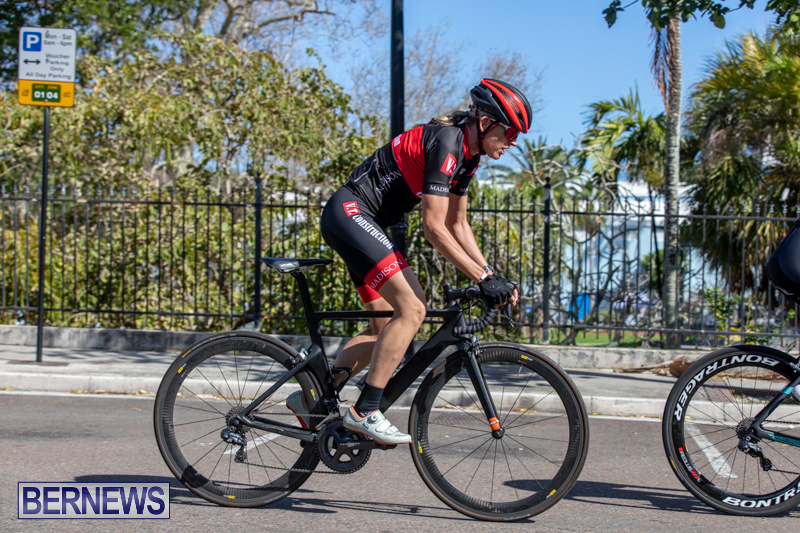 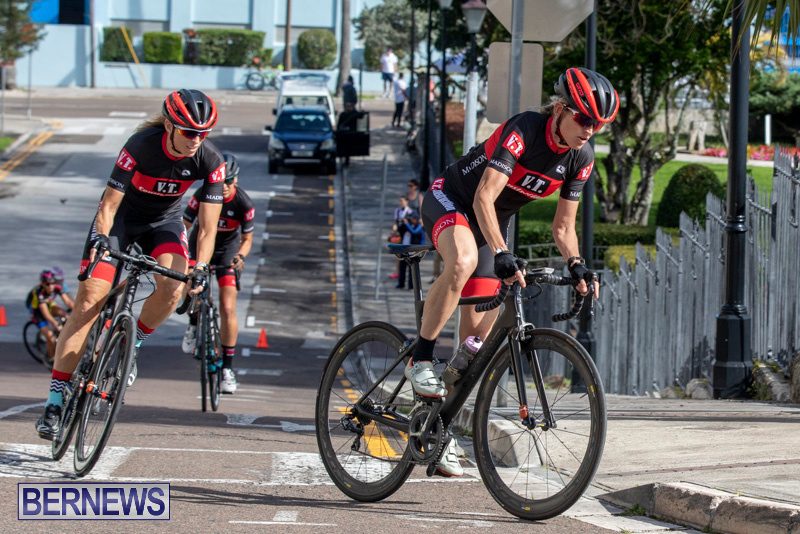 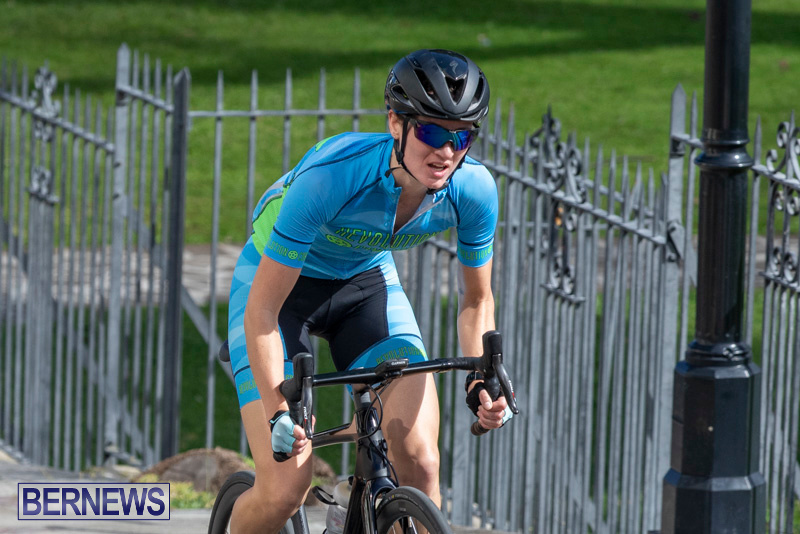 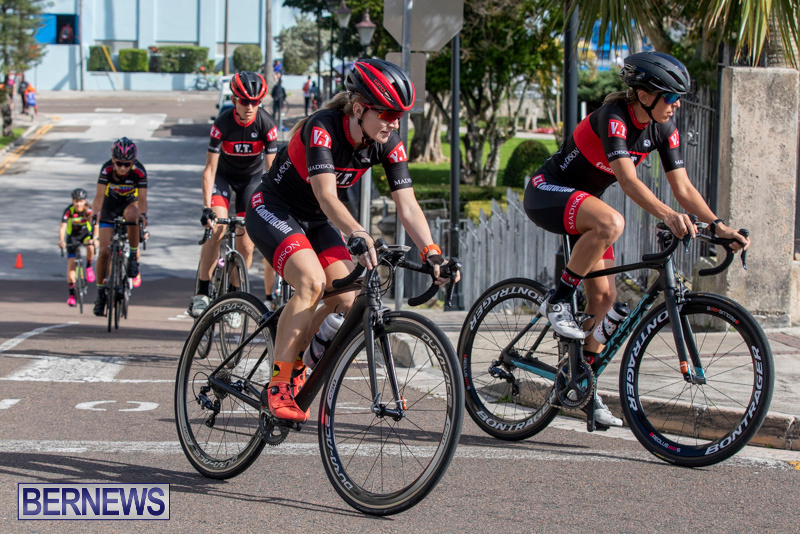 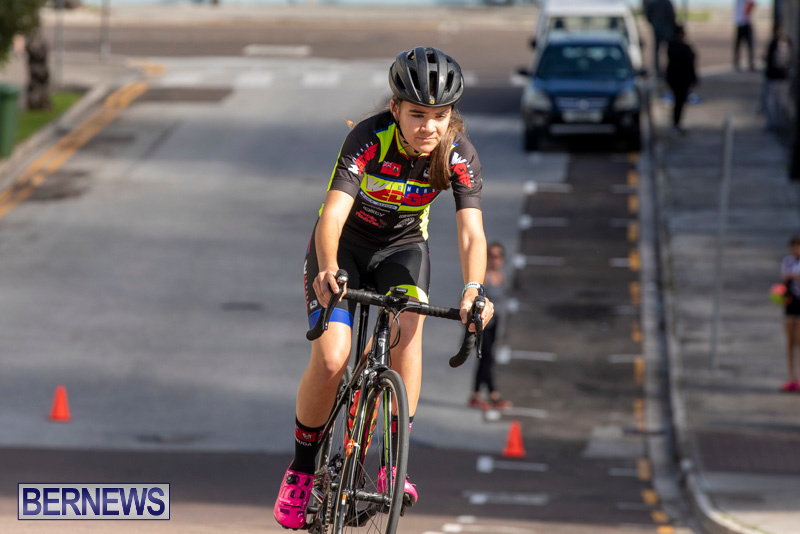 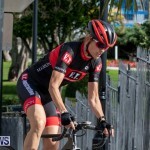 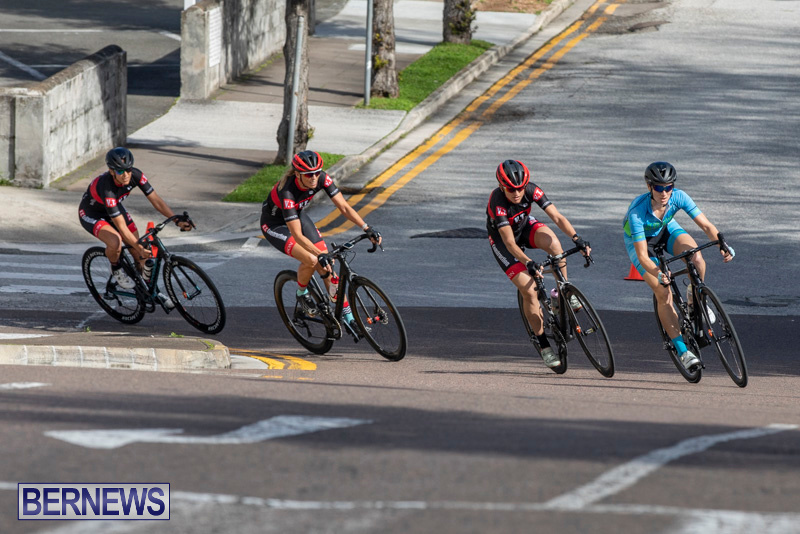 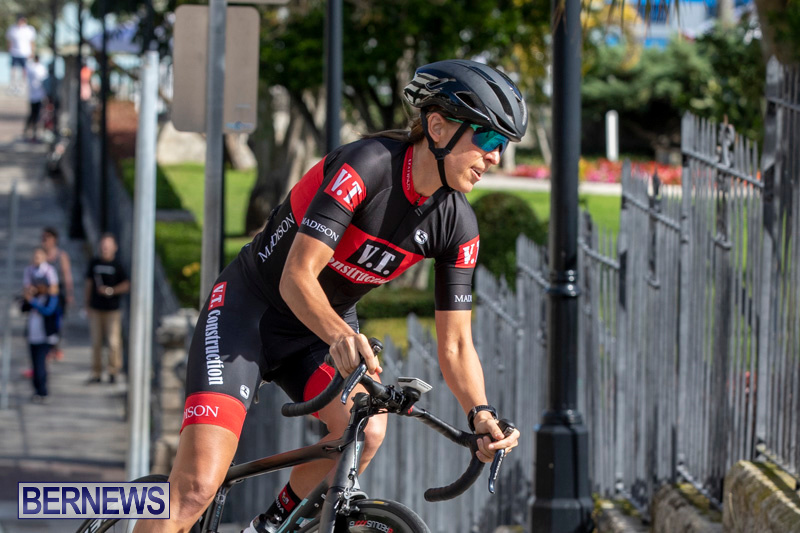 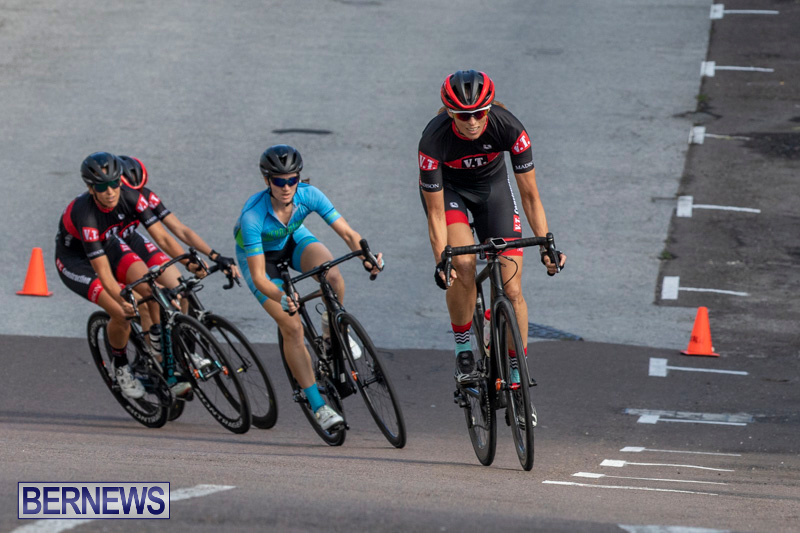 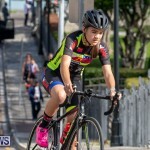 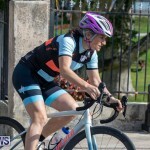 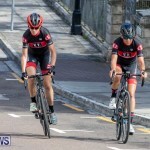 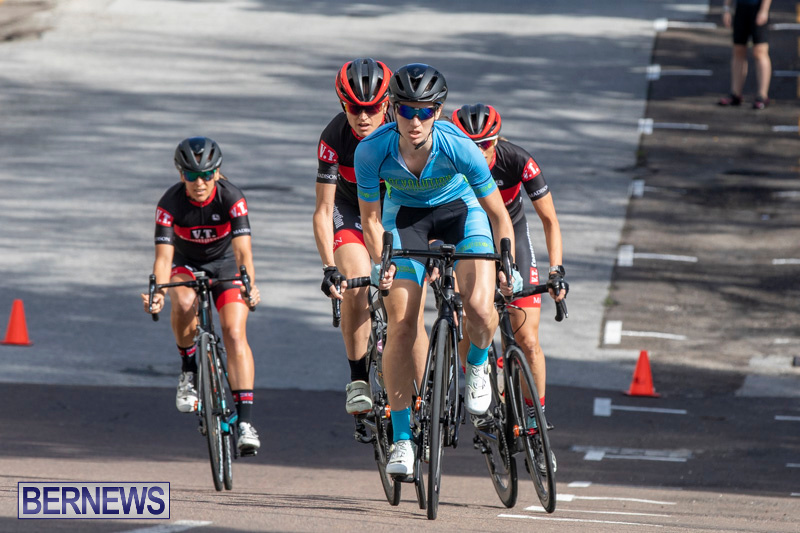 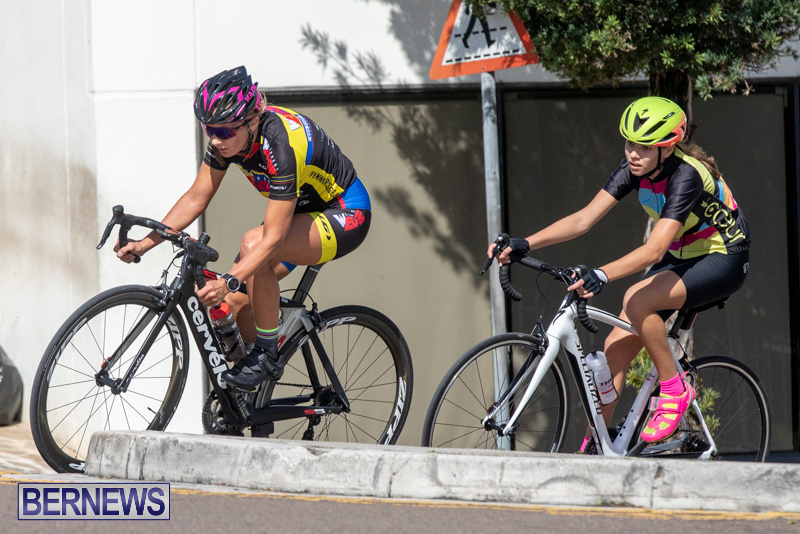 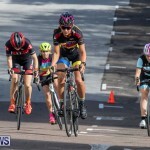 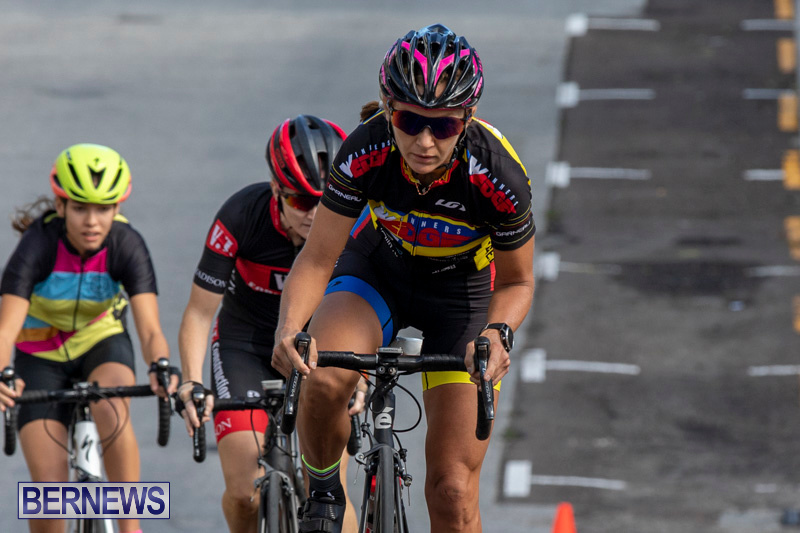 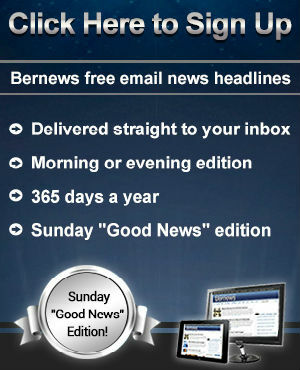 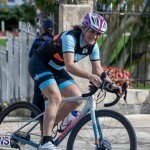 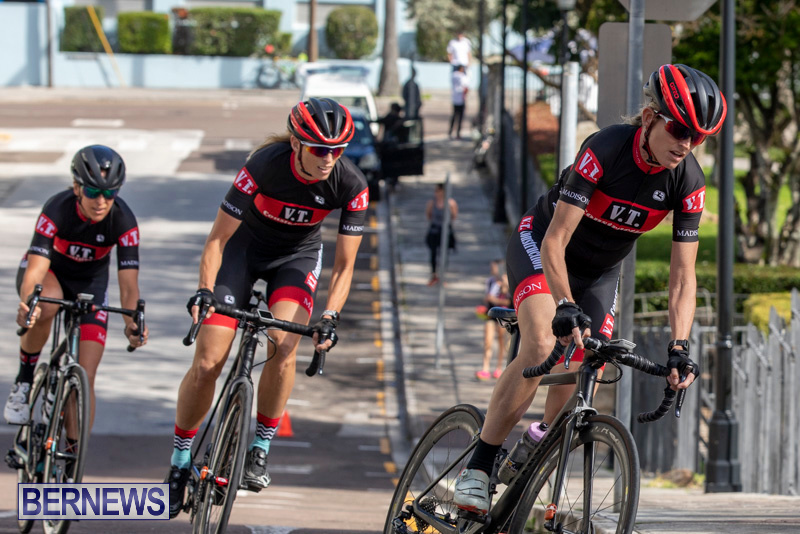 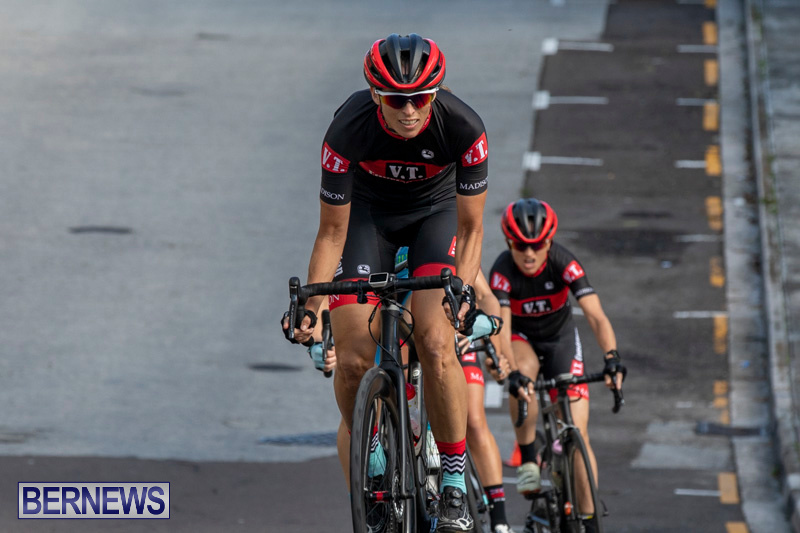 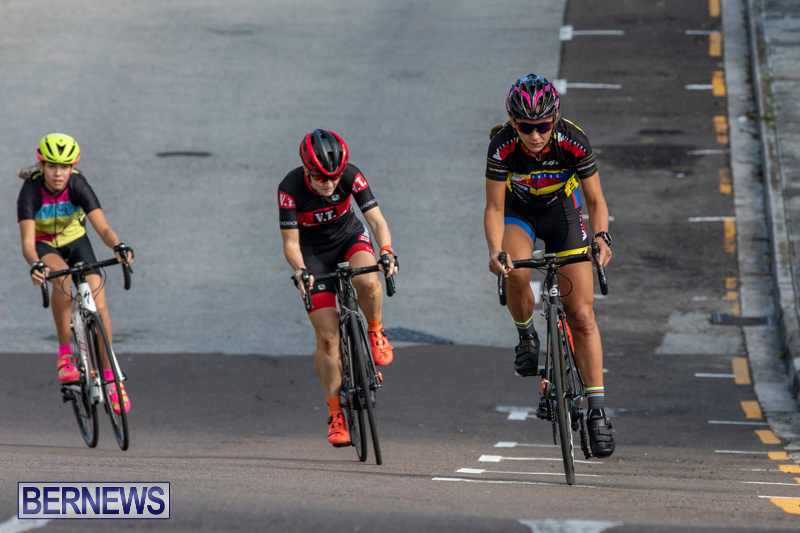 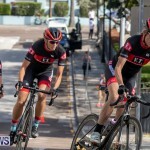 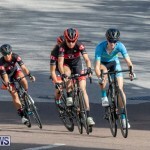 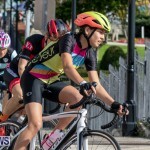 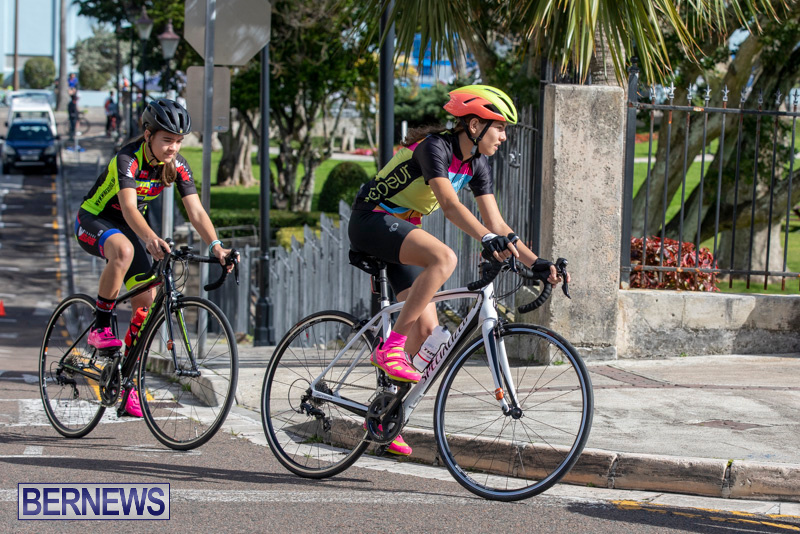 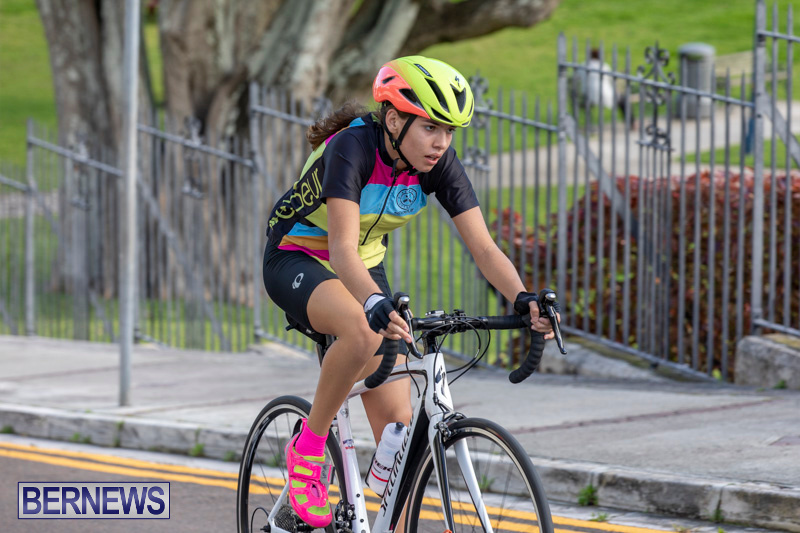 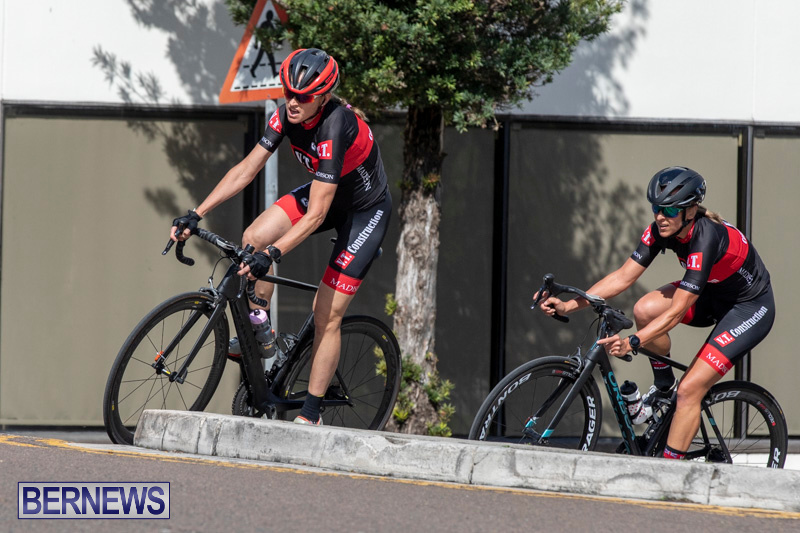 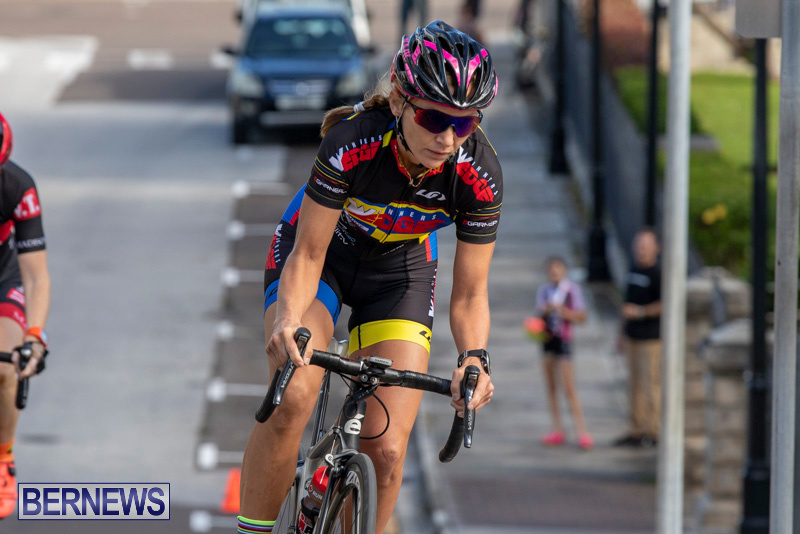 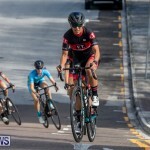 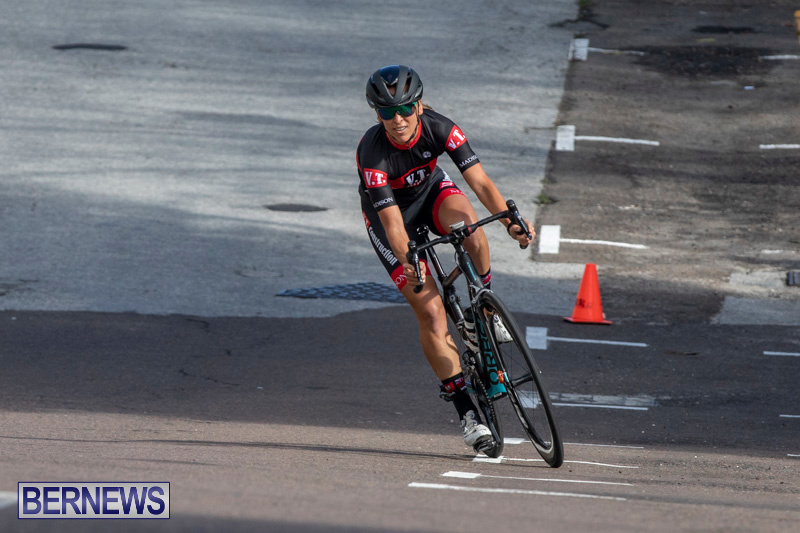 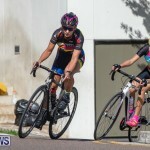 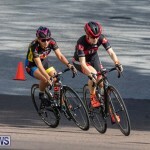 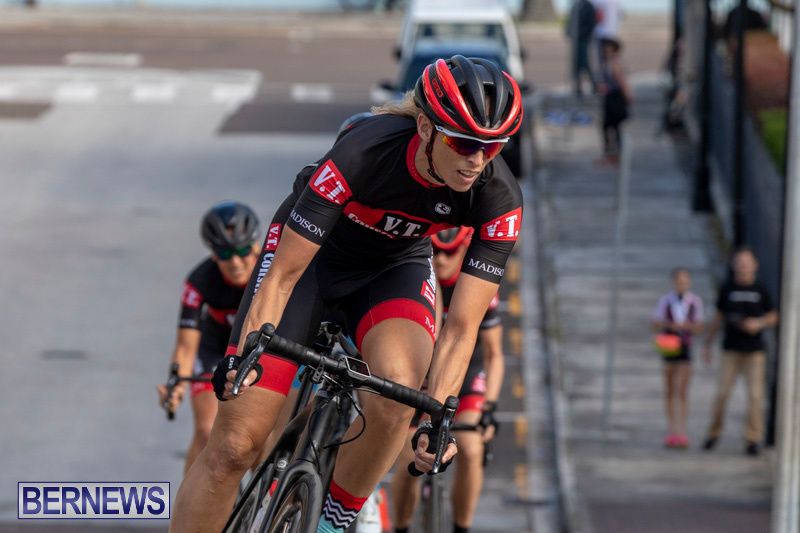 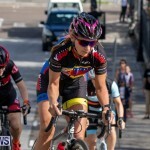 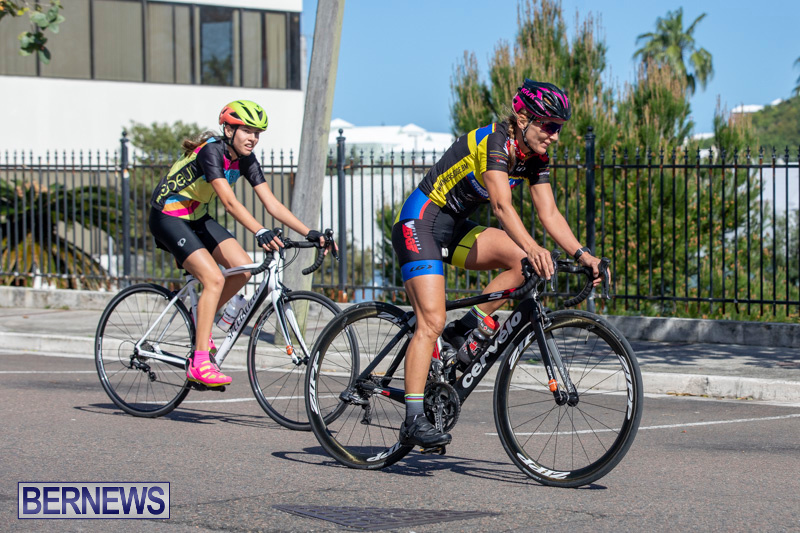 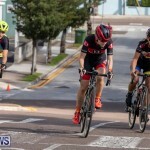 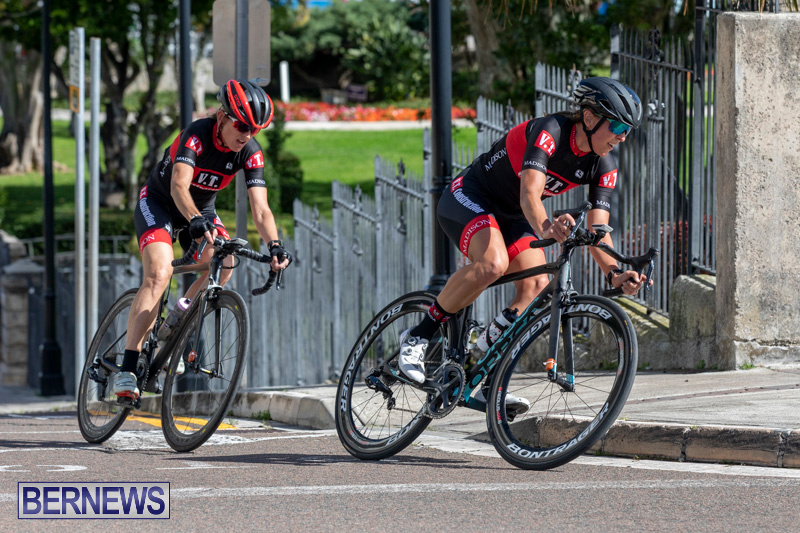 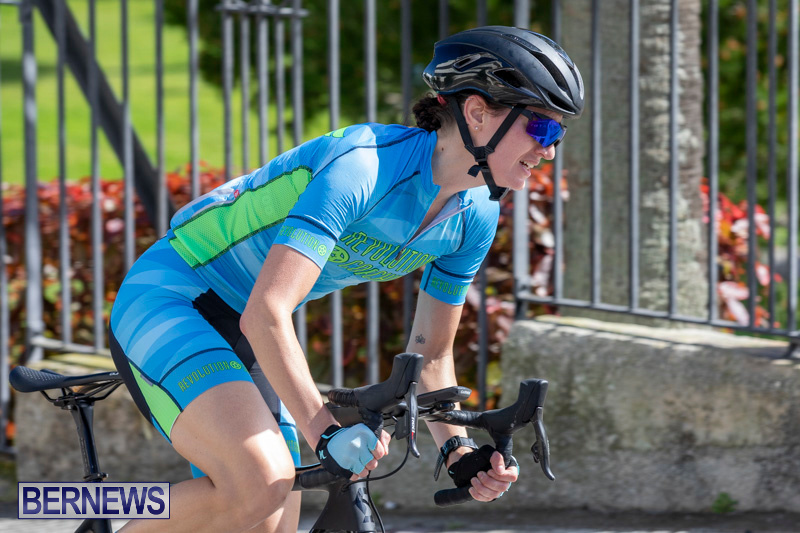 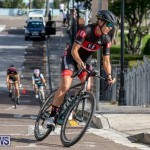 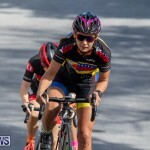 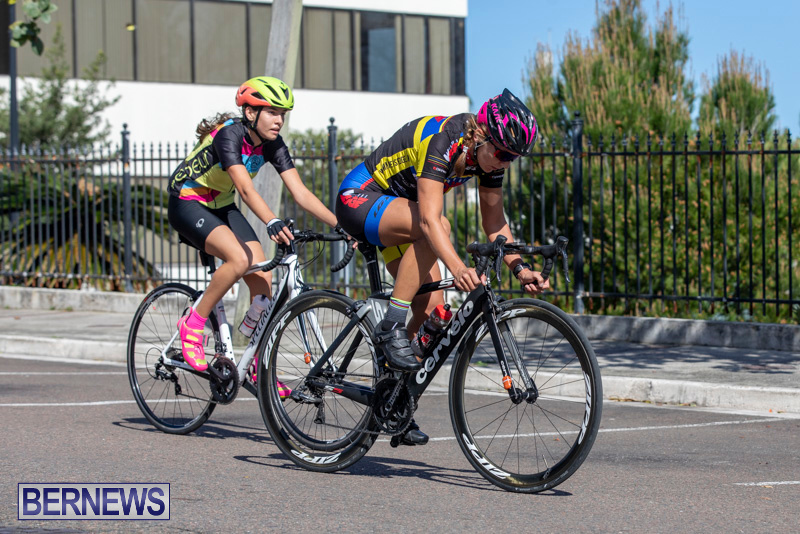 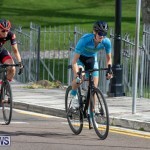 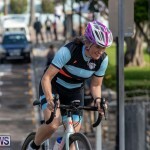 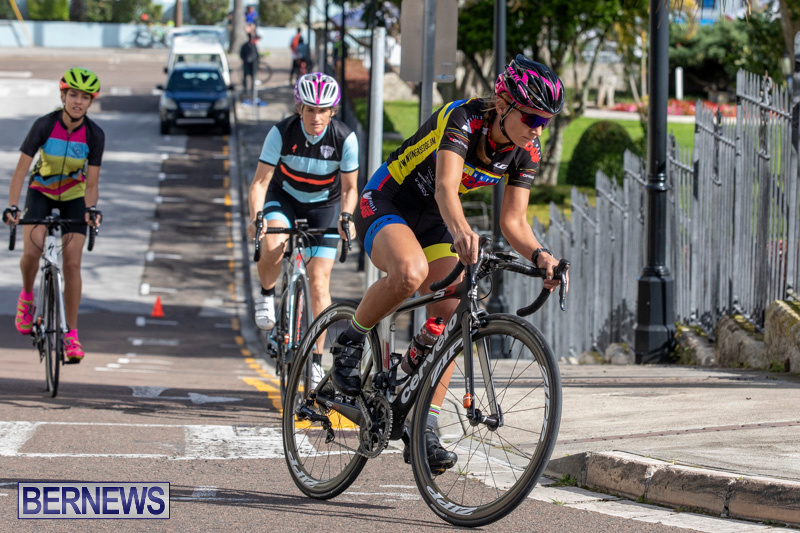 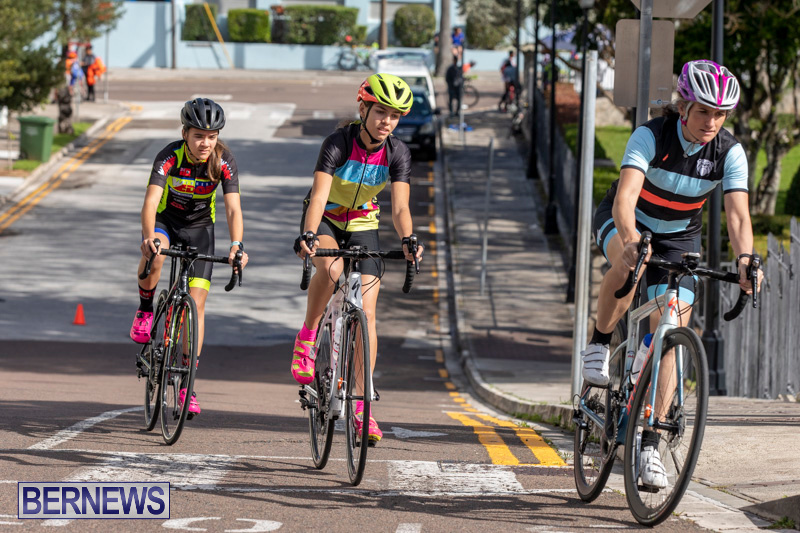 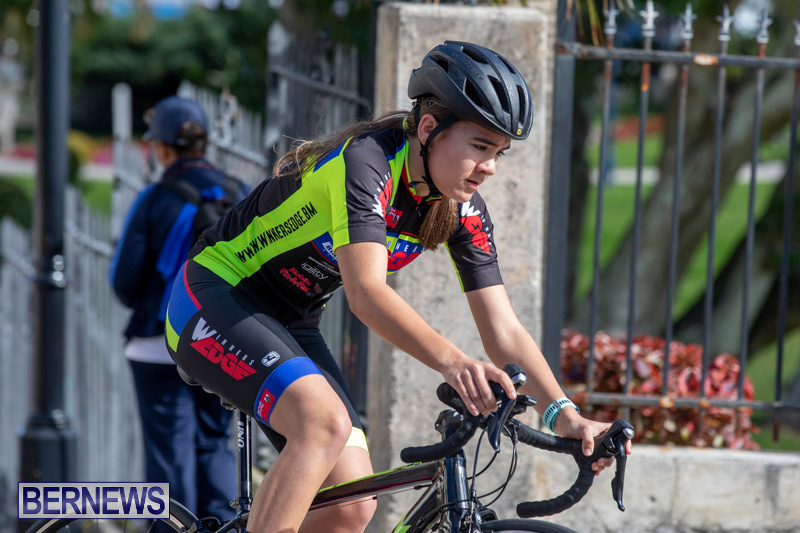 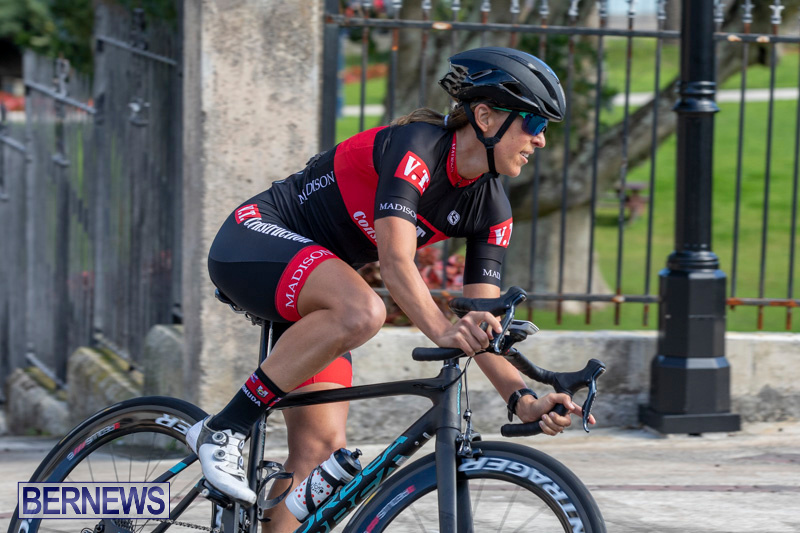 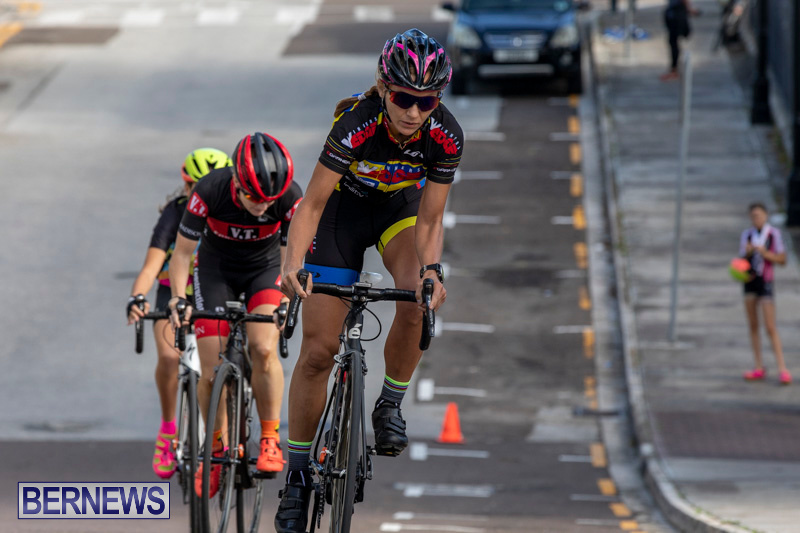 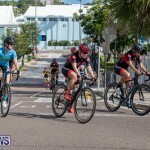 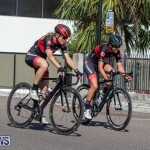 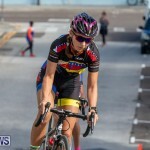 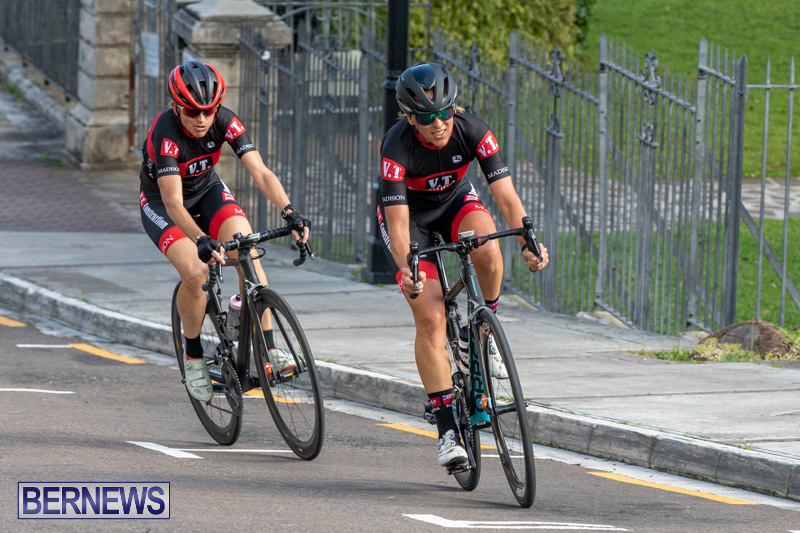 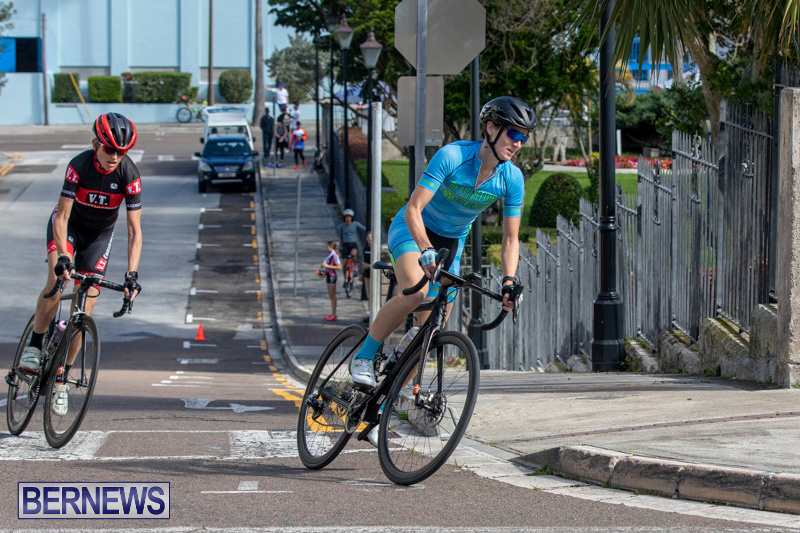 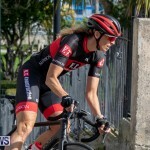 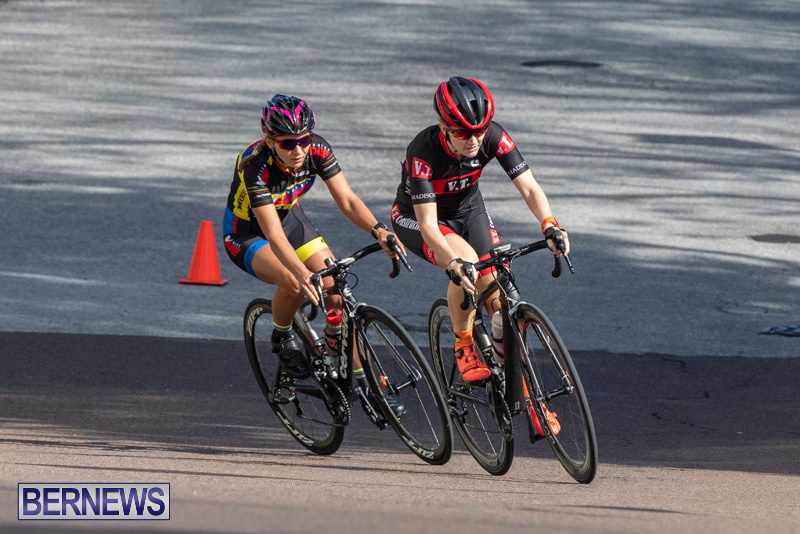 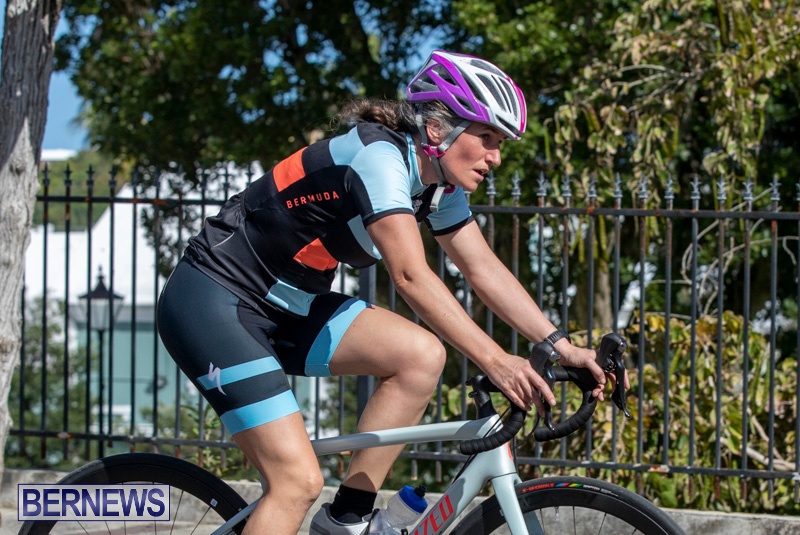 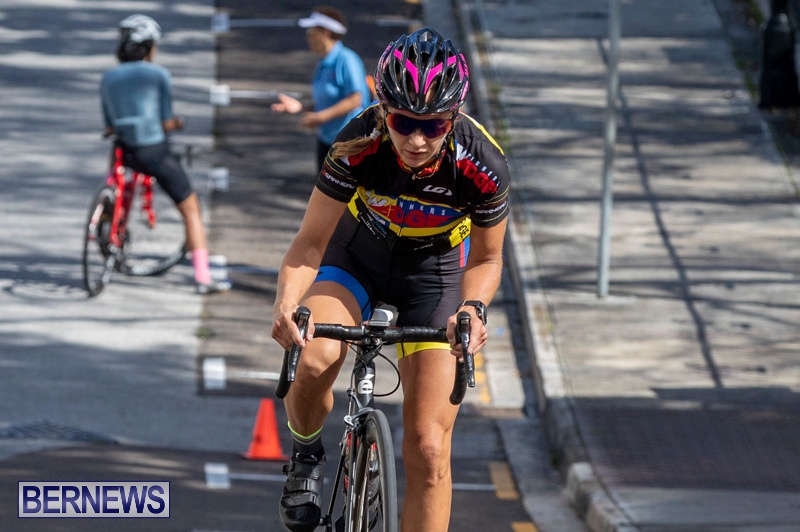 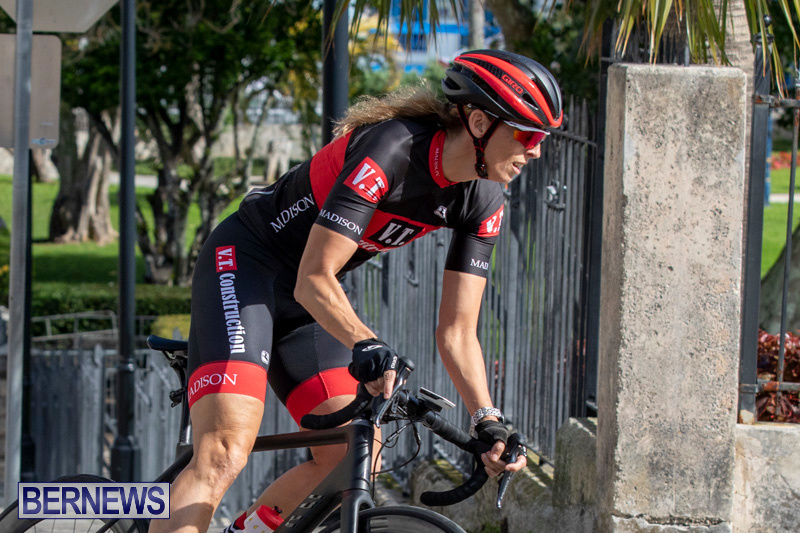 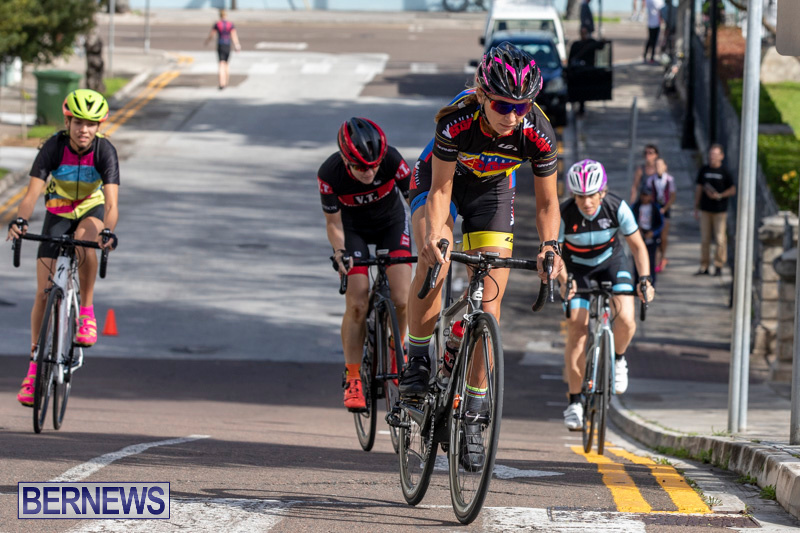 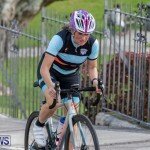 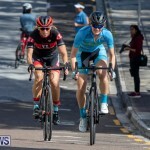 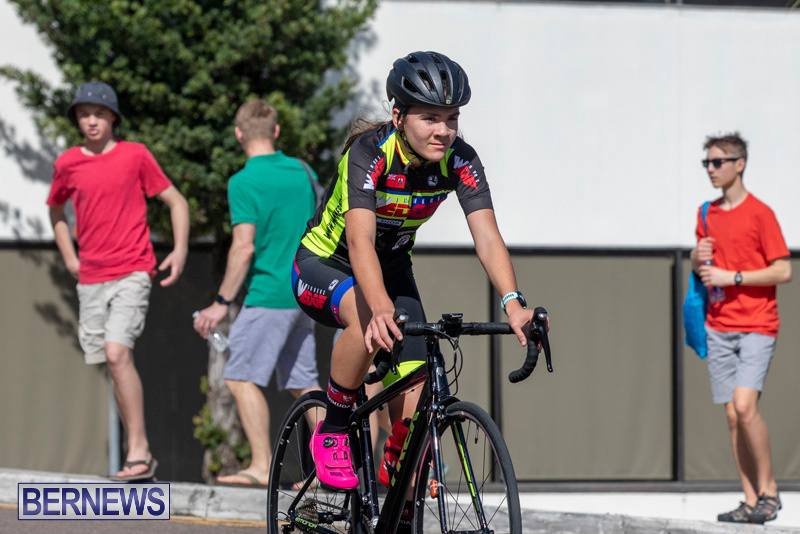 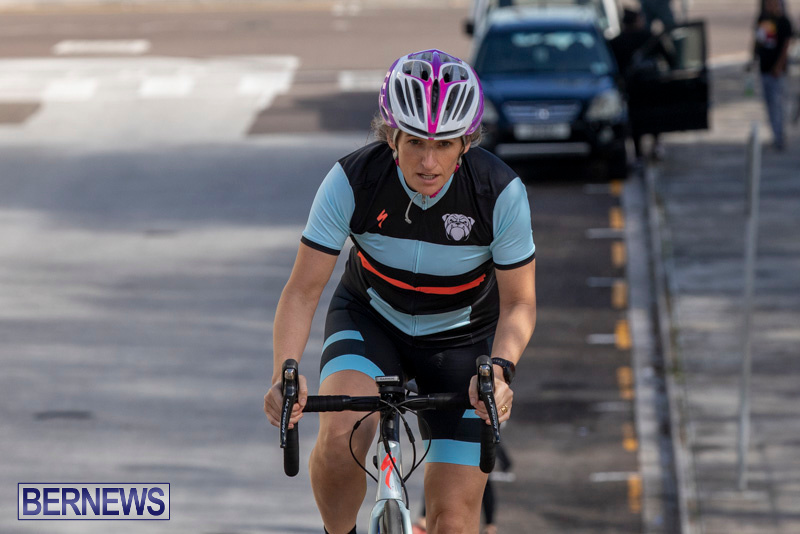 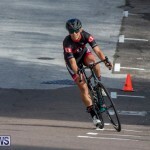 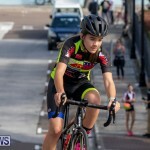 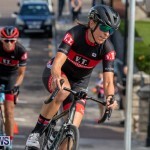 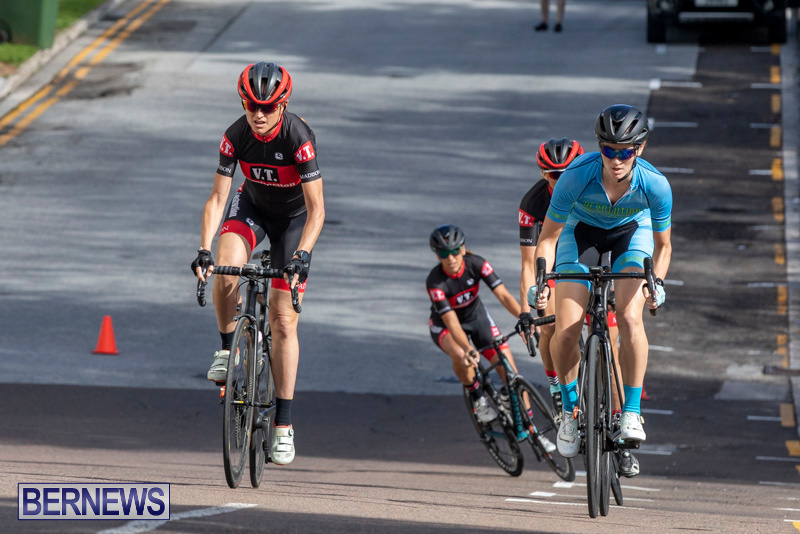 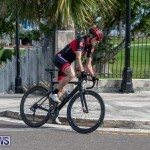 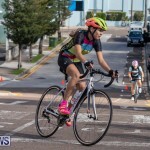 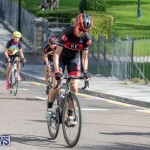 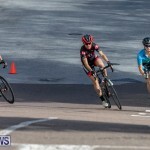 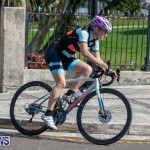 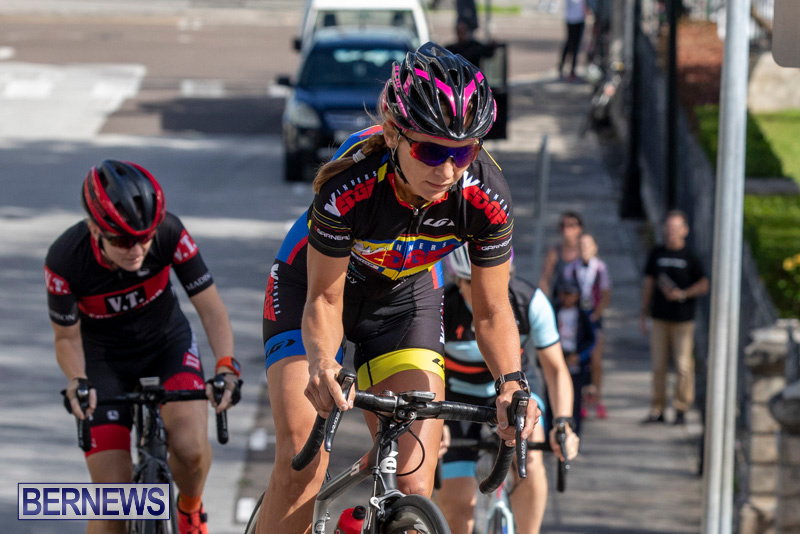 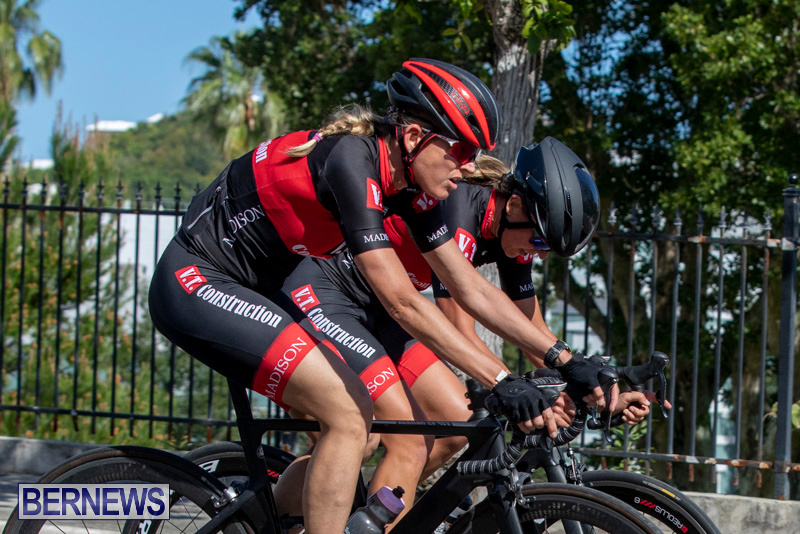 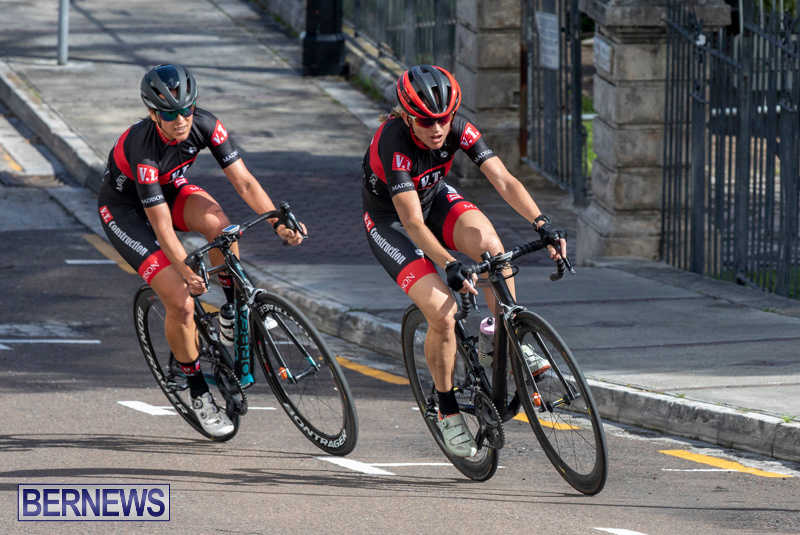 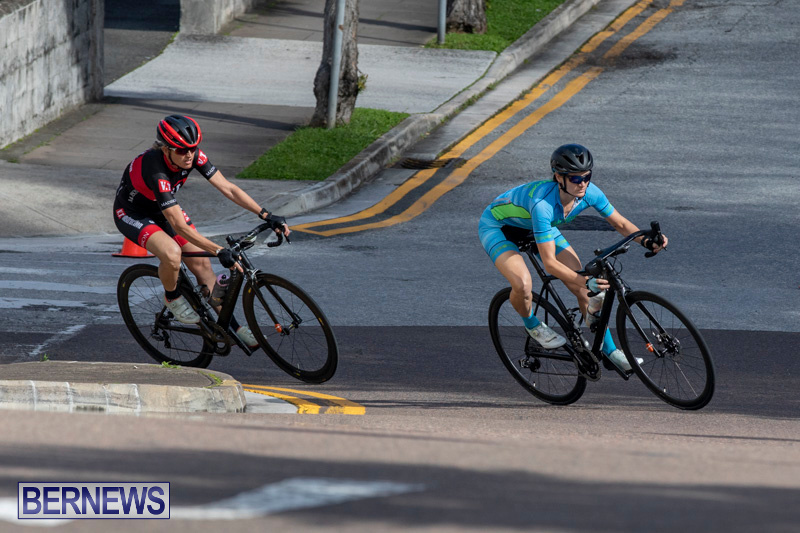 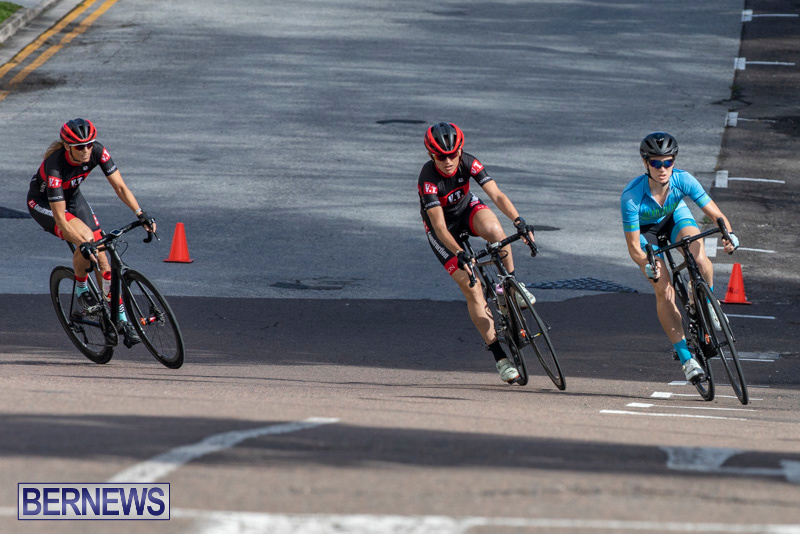 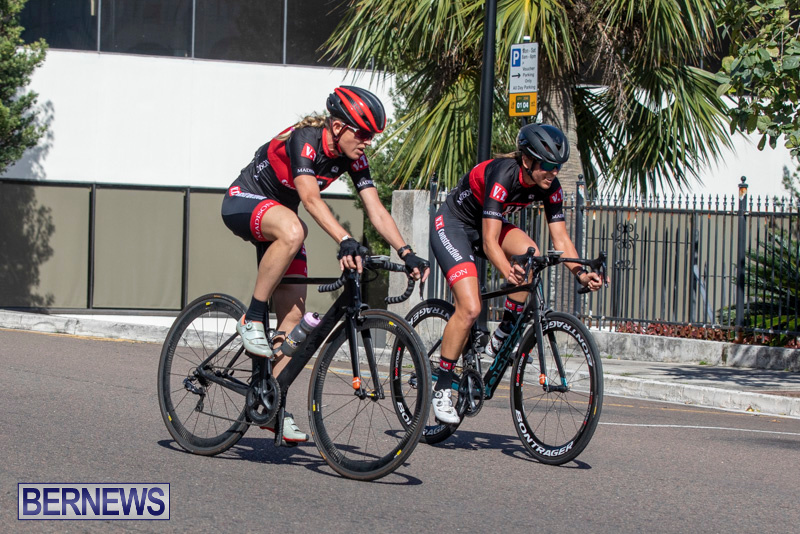 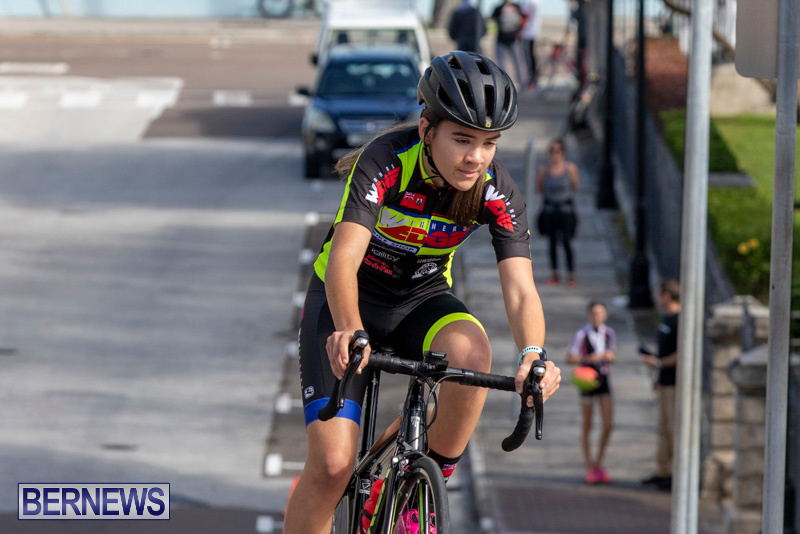 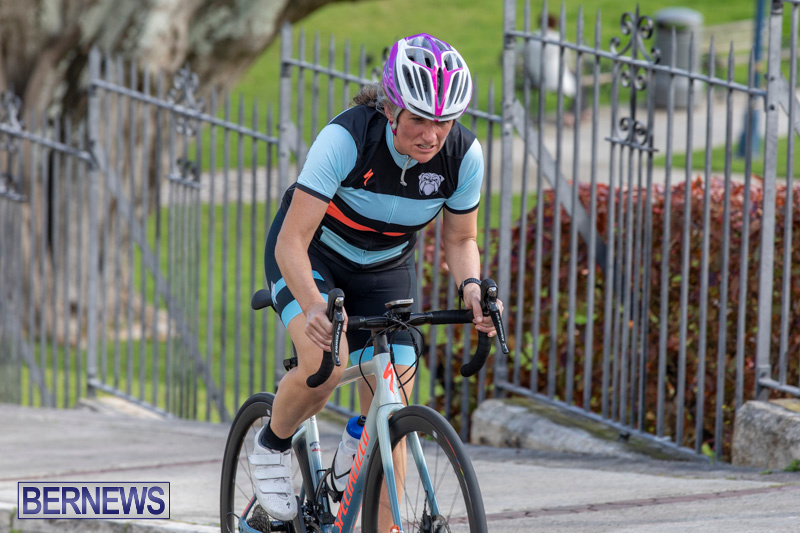 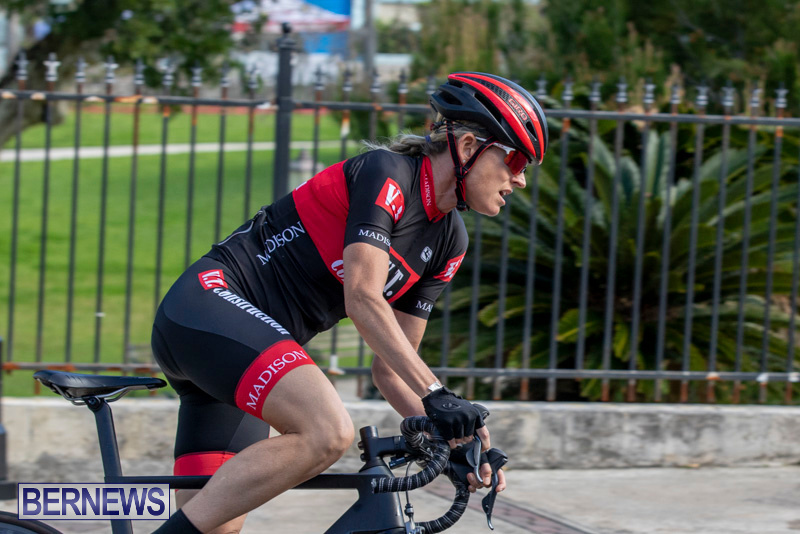 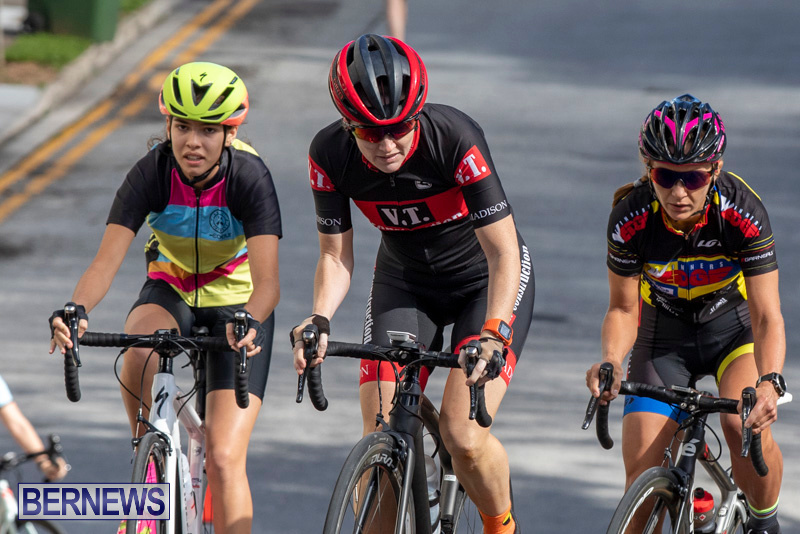 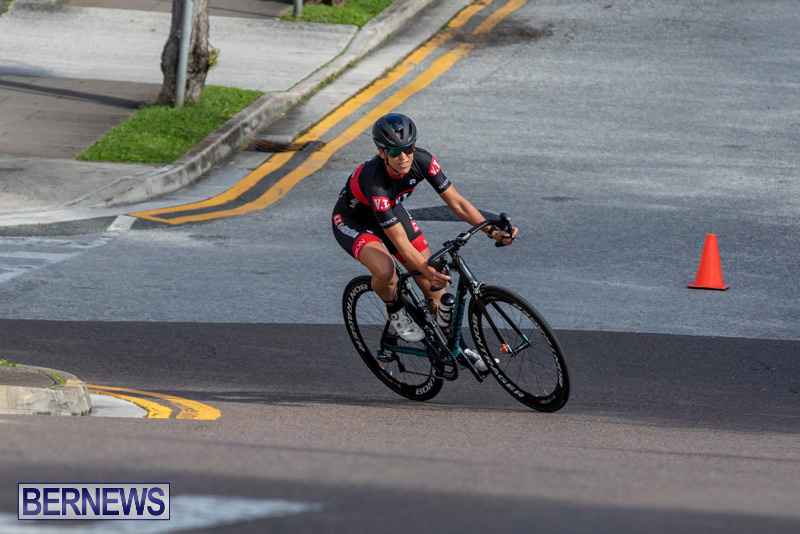 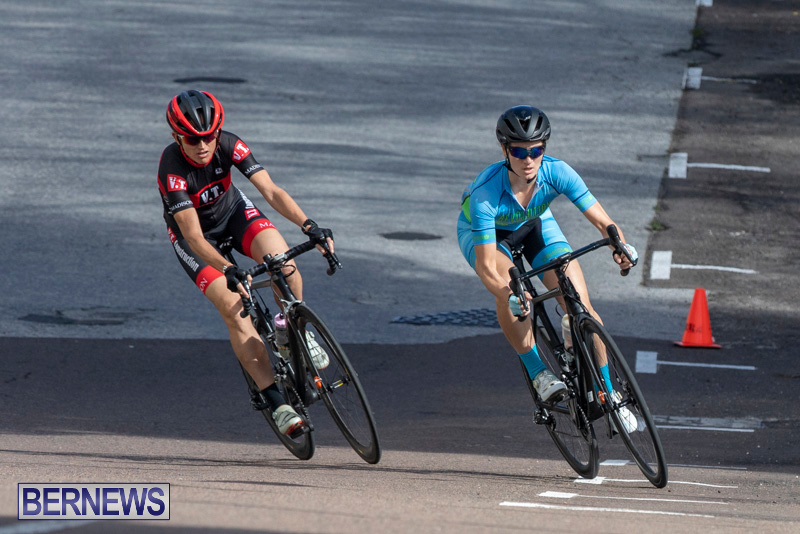 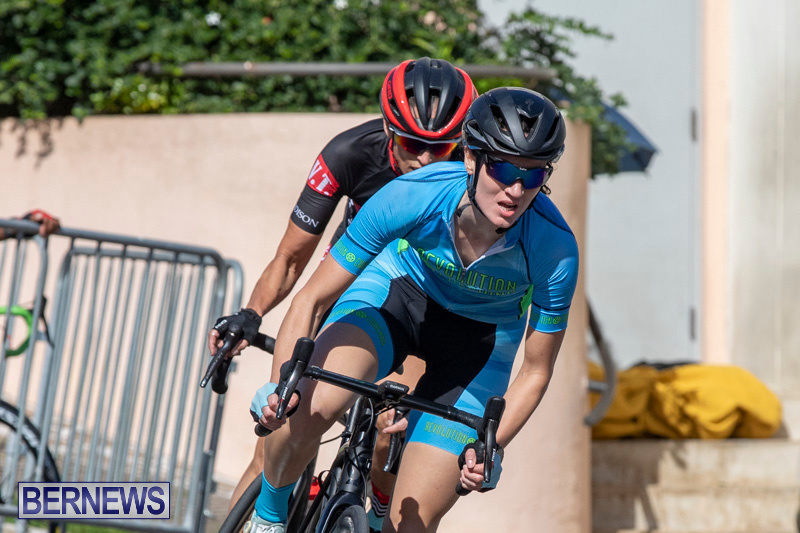 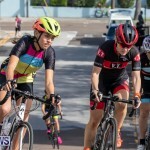 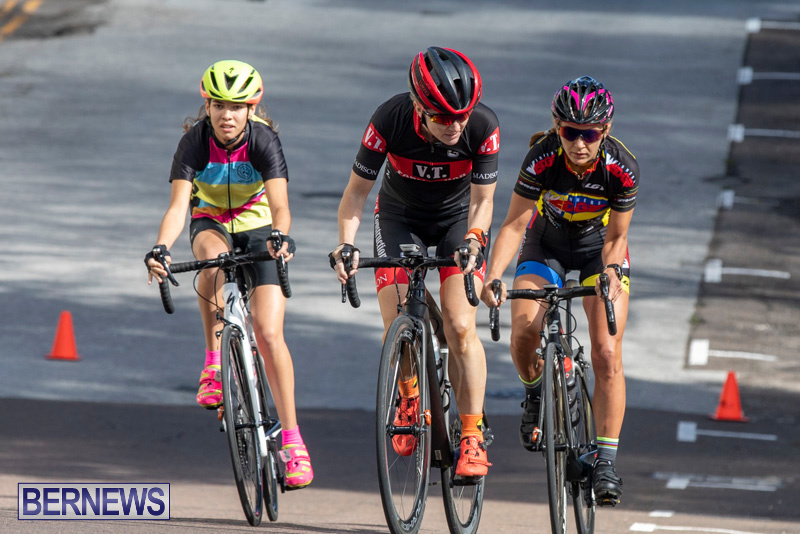 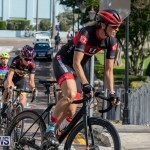 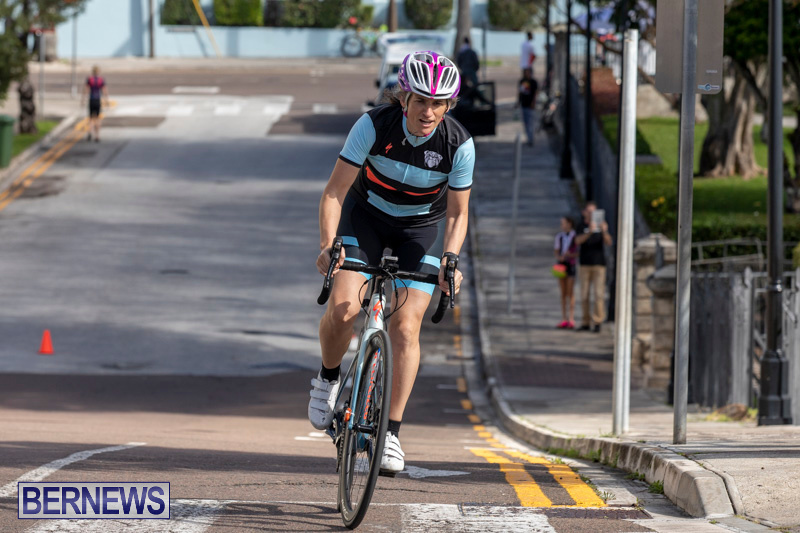 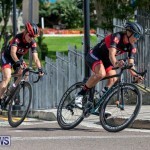 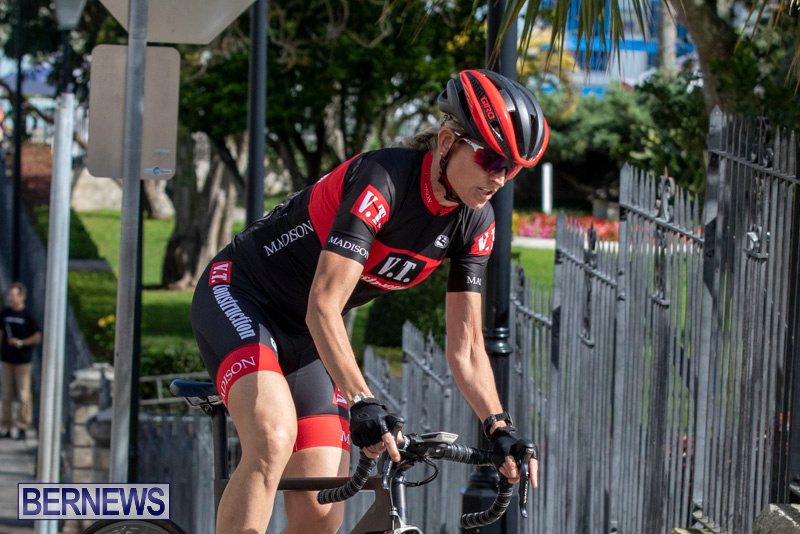 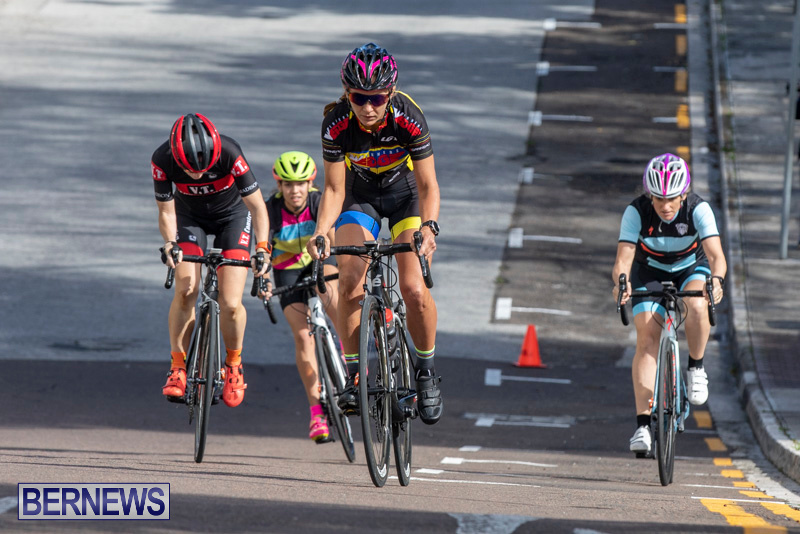 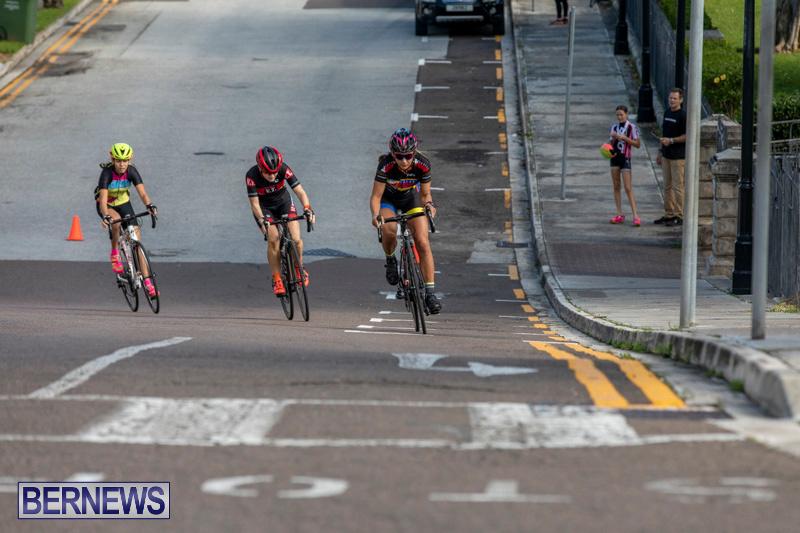 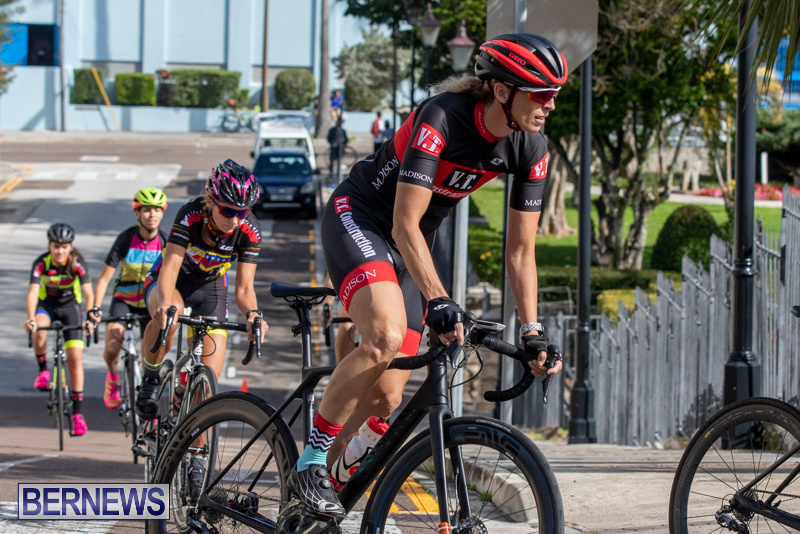 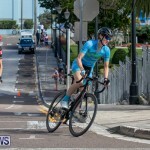 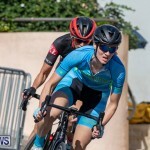 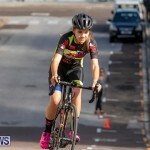 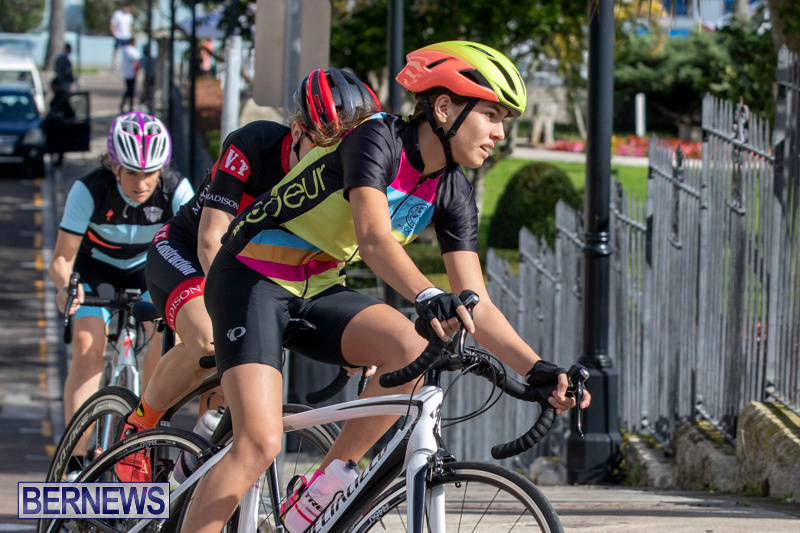 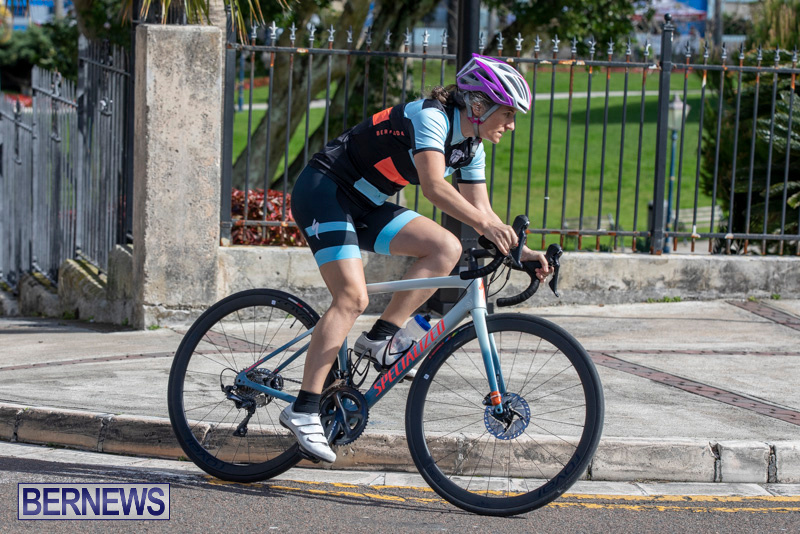 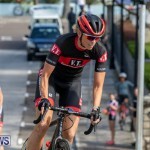 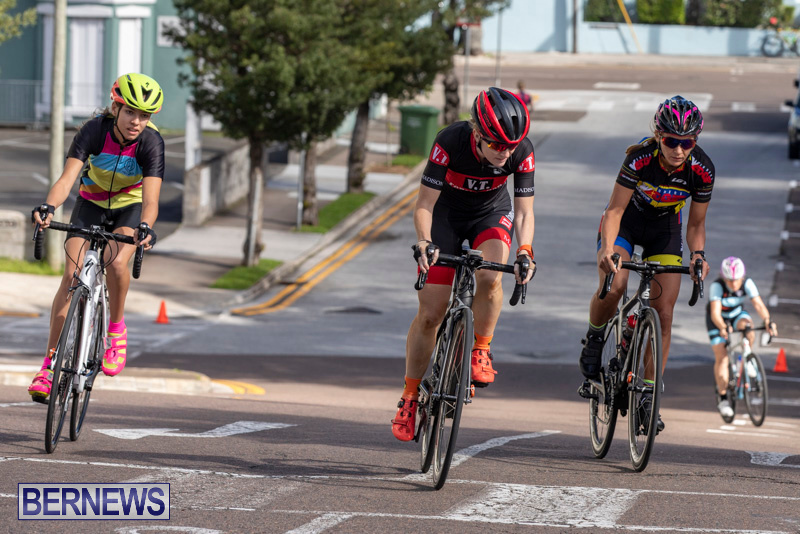 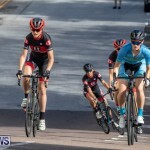 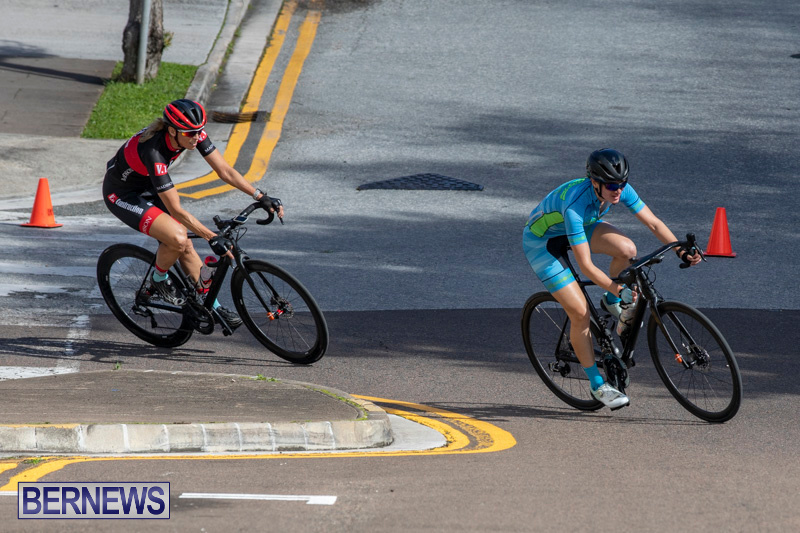 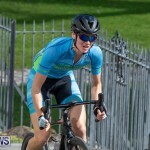 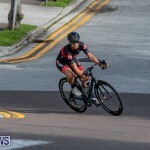 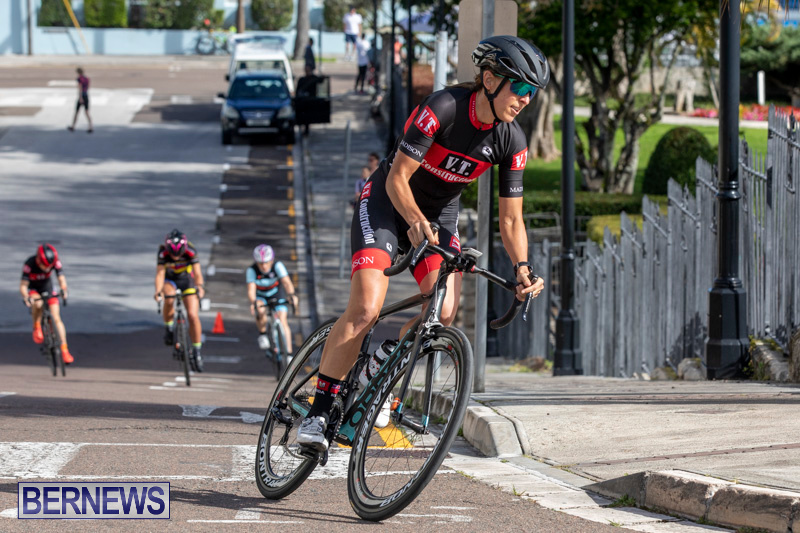 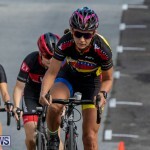 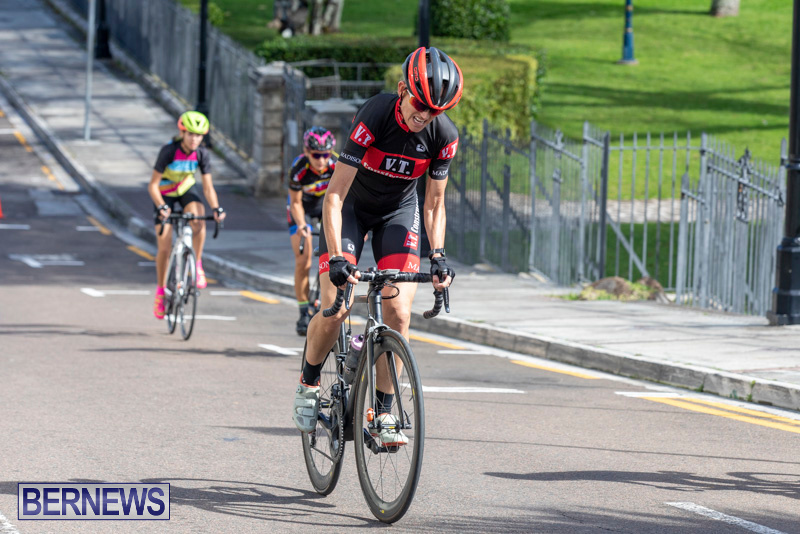 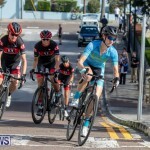 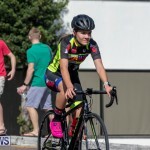 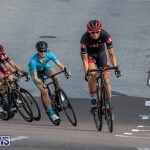 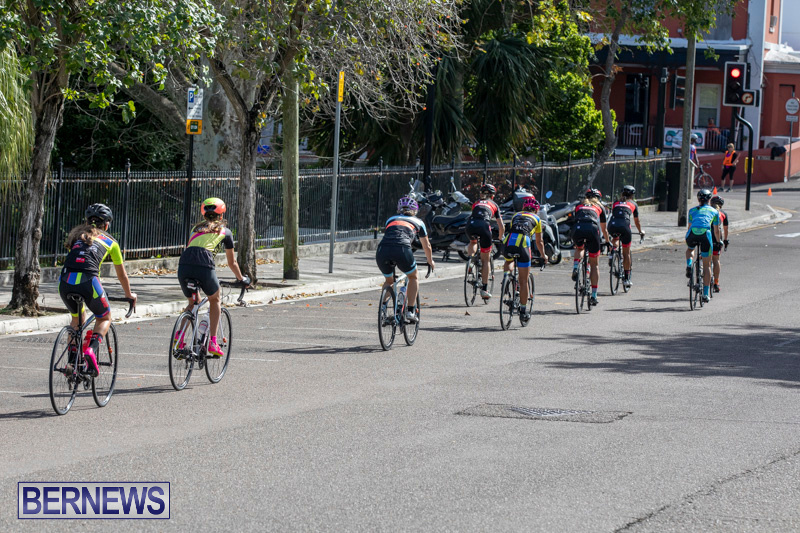 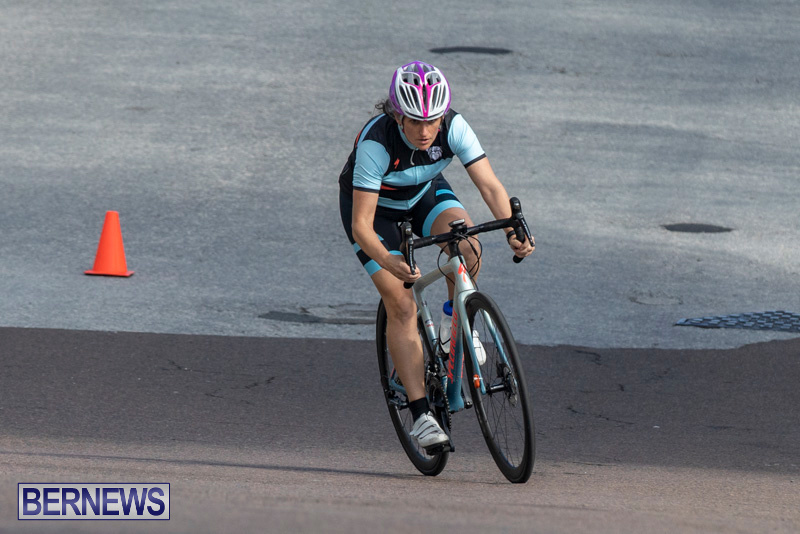 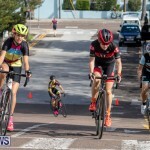 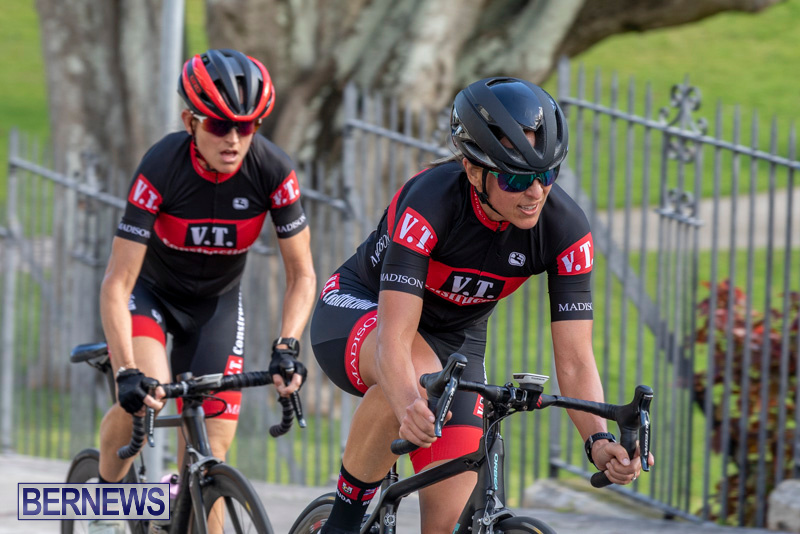 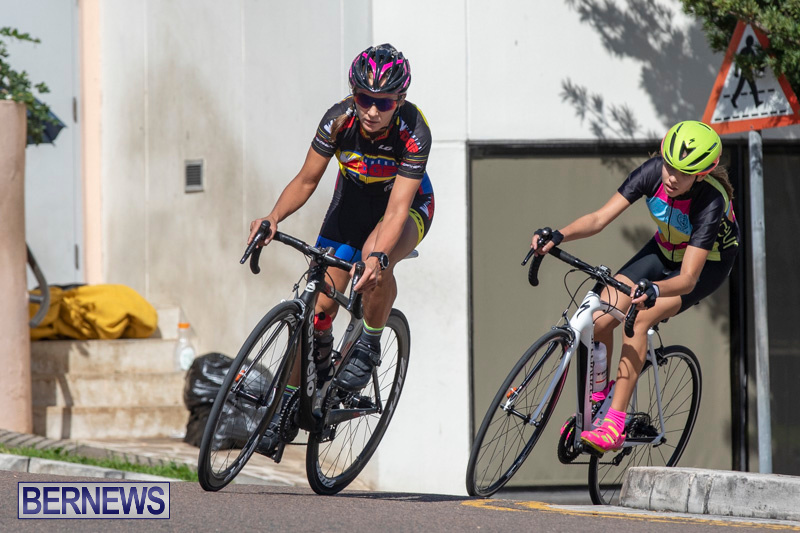 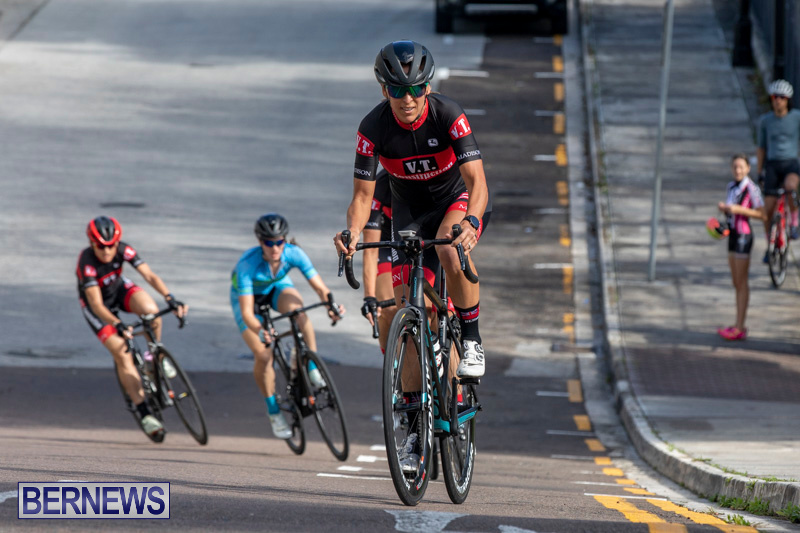 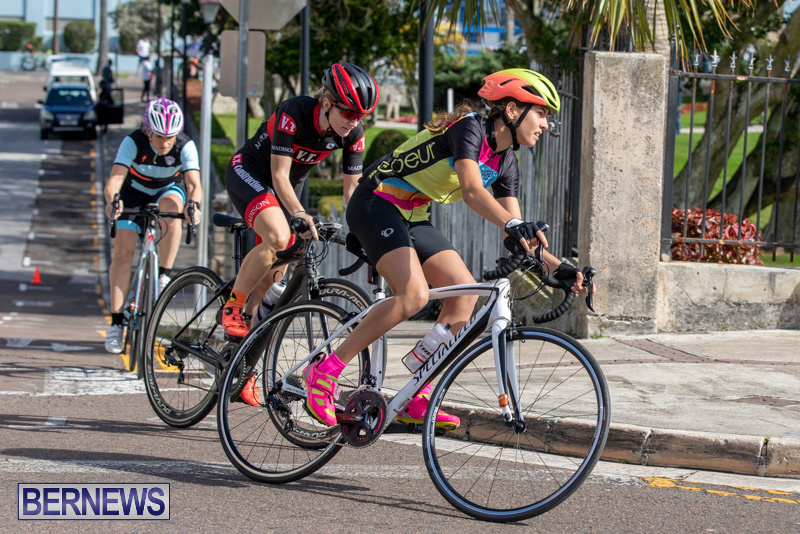 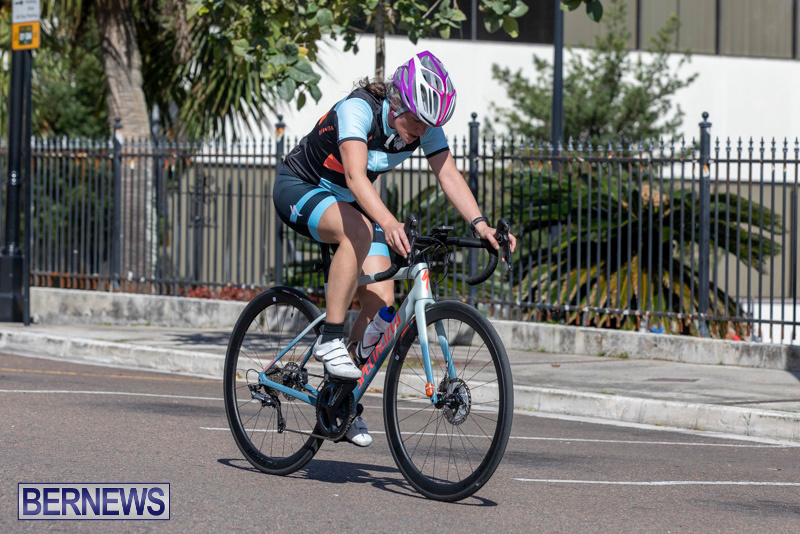 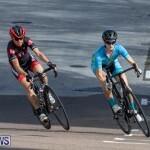 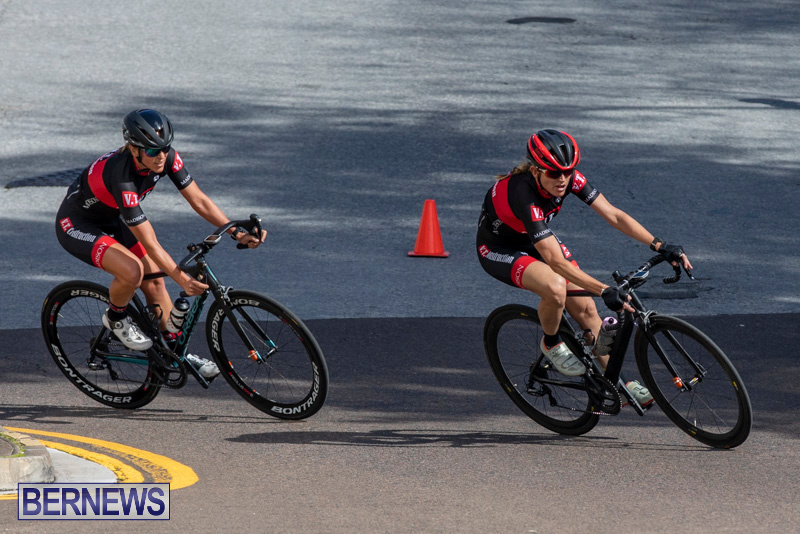 The Bermuda Cycling Academy Victoria Park Criterium was held this morning [March 31] with riders taking a route around Victoria Park that included Dundonald Street, Park Road, Washington Street, Victoria Street and Cedar Avenue. 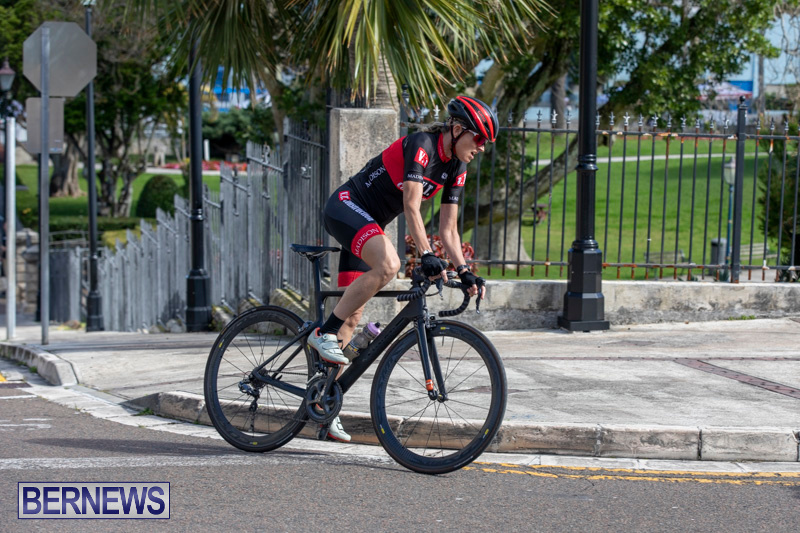 Adam Kirk riding with Team Winners Edge won the Adult A Class with a time of 31:49.2, just beating the clock ahead of Darren Glasford who placed second with a time of 31:49.8. 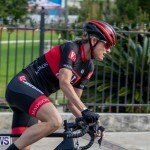 Andrew Simons placed third with a time of 32:35.2. 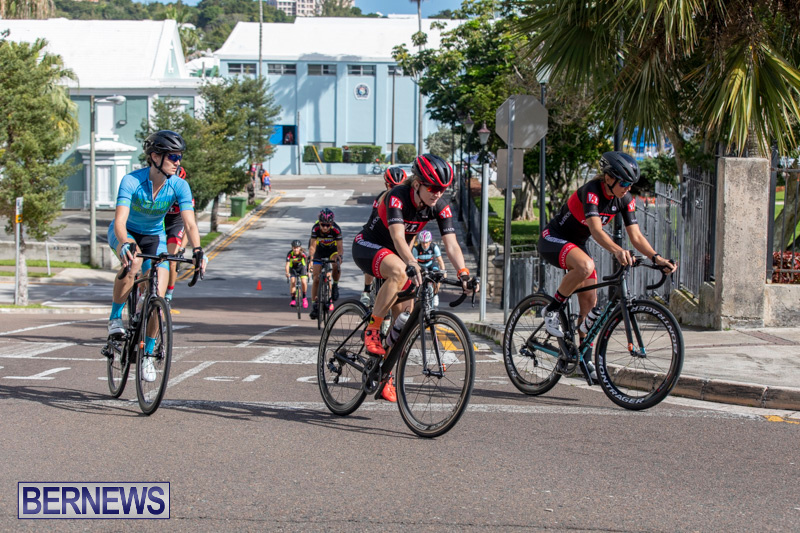 In the Women’s Class, Ashley Cooper and Maddie Durkin both crossed the line with a time of 30:10.0 while Cora Lee Starzomski would place third with a time of 30:23.2. 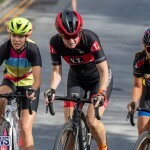 The top three ladies all rode with Team VT Construction / Madison. 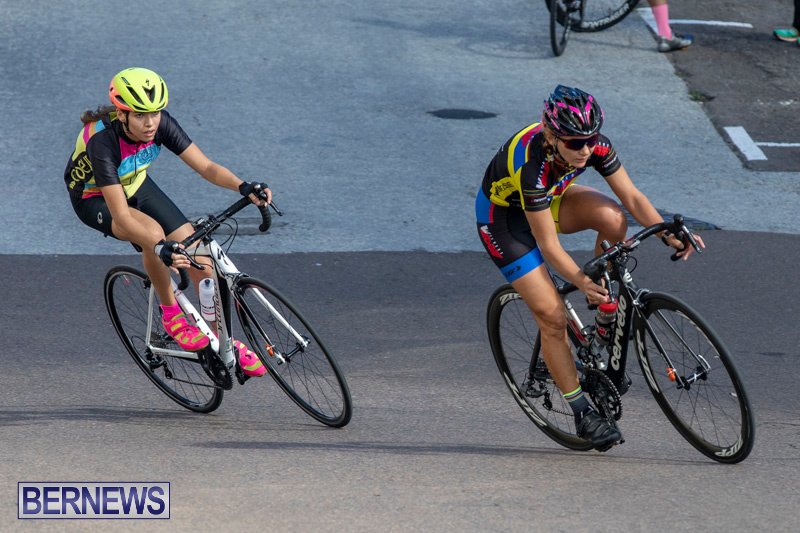 The results from the youth races will be posted when they are made available.